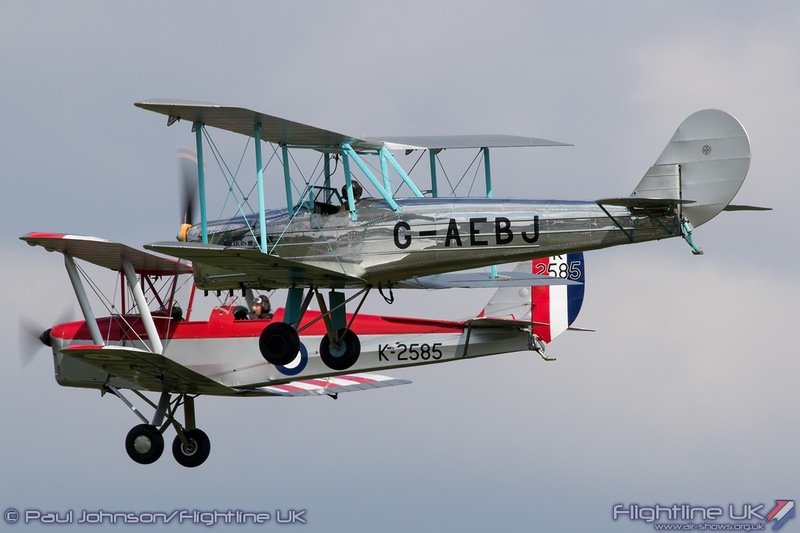 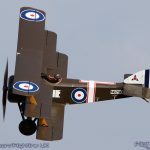 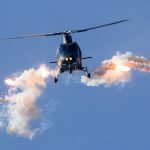 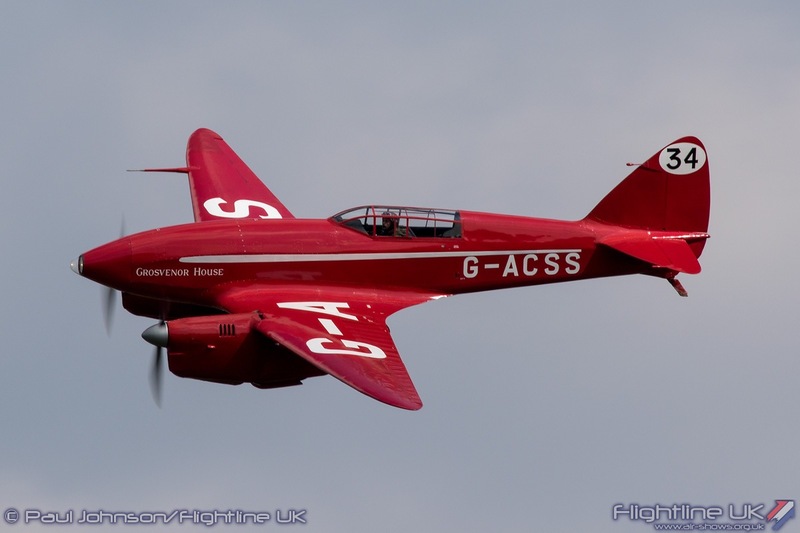 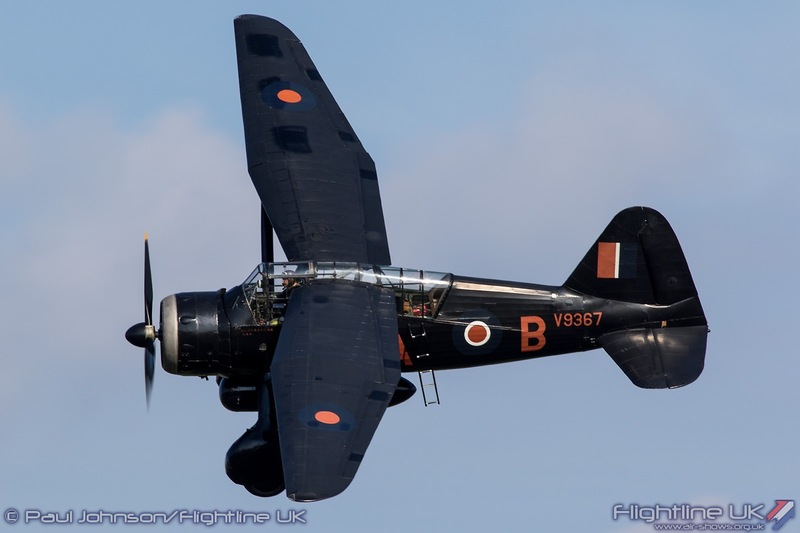 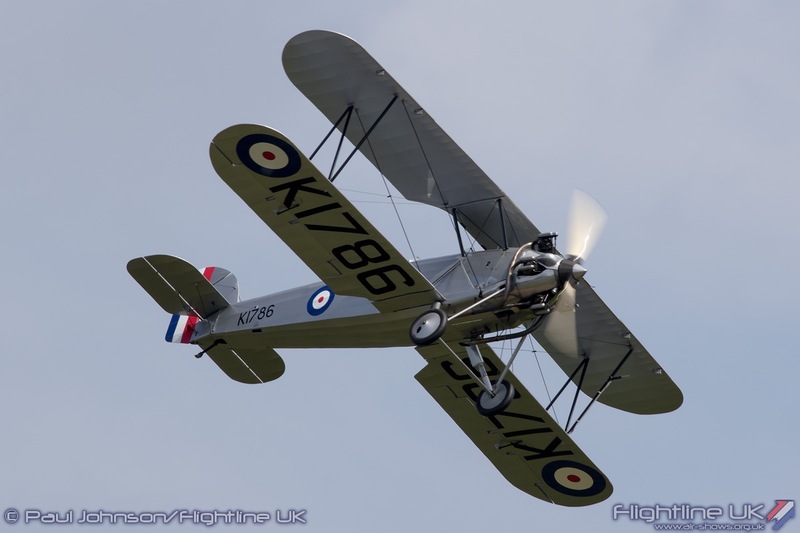 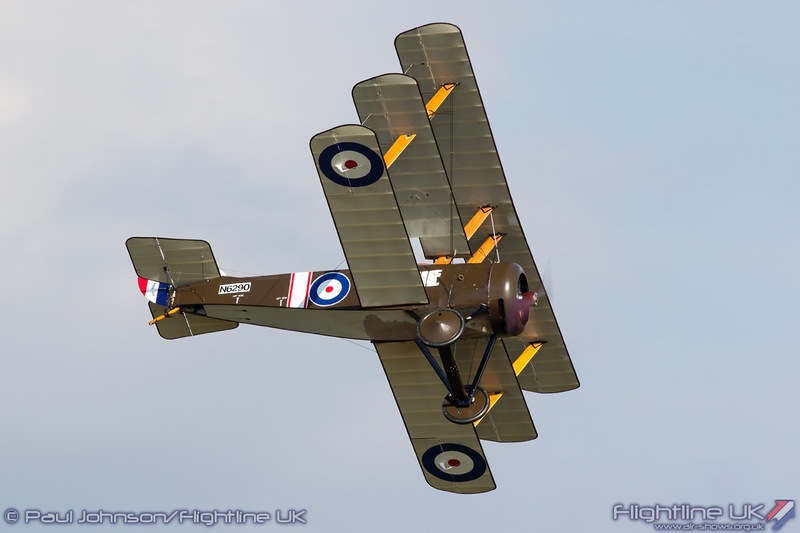 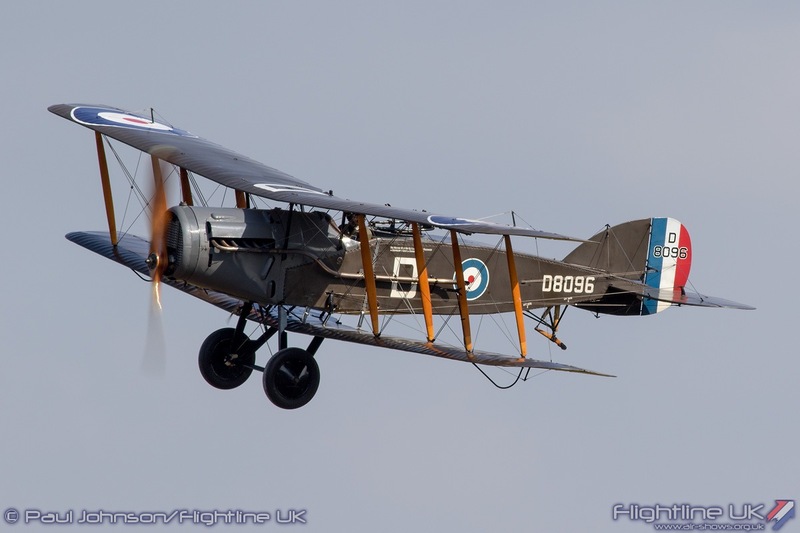 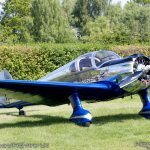 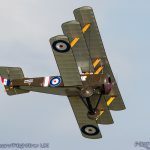 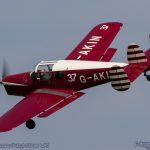 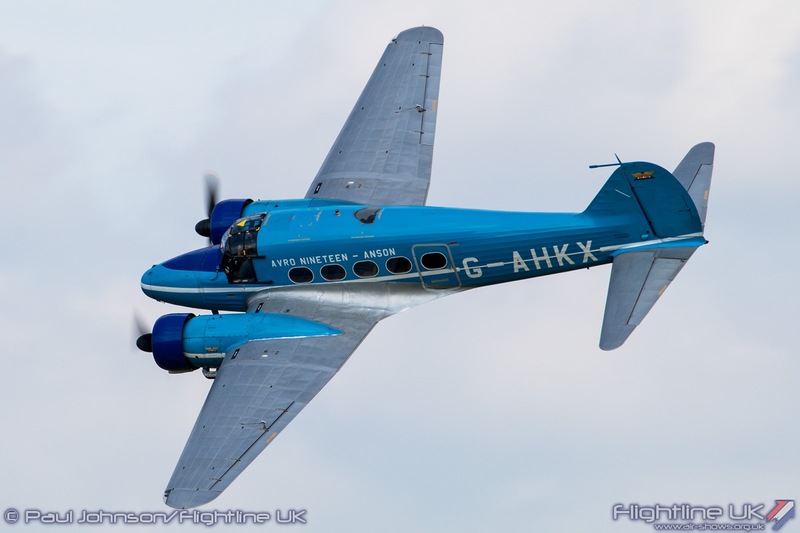 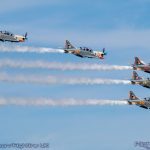 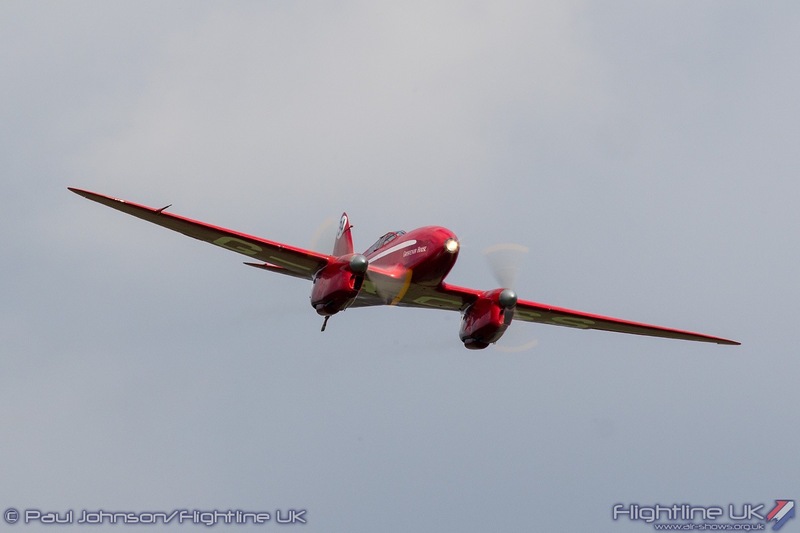 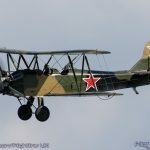 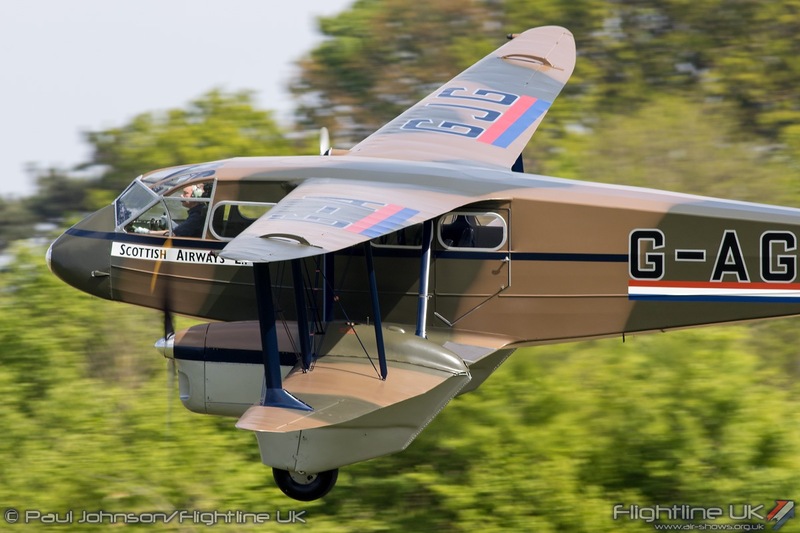 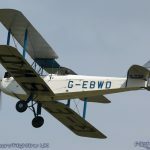 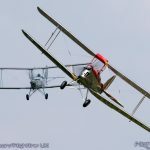 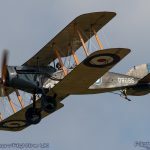 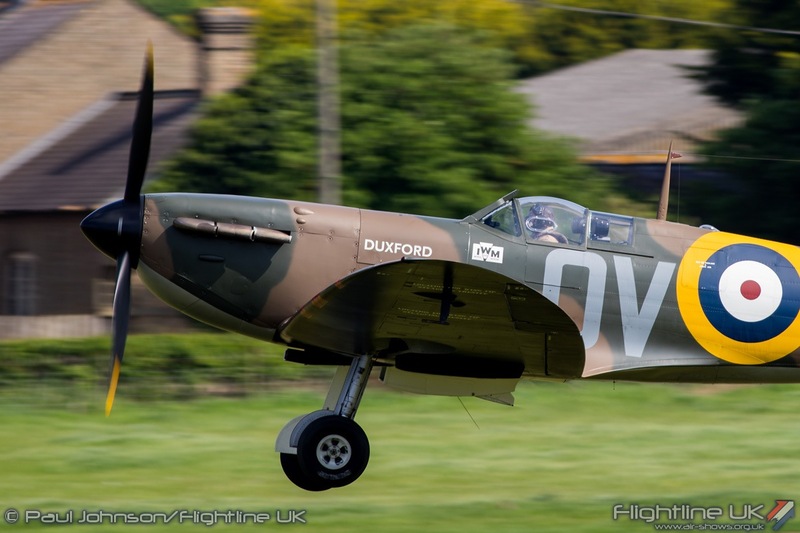 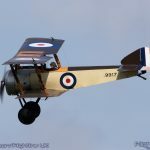 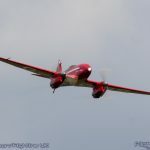 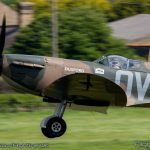 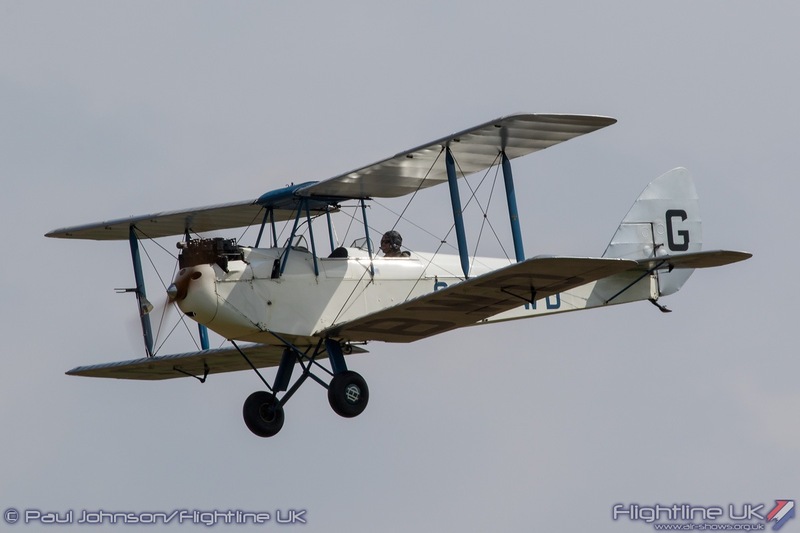 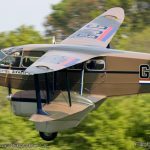 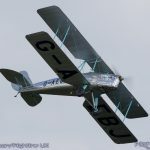 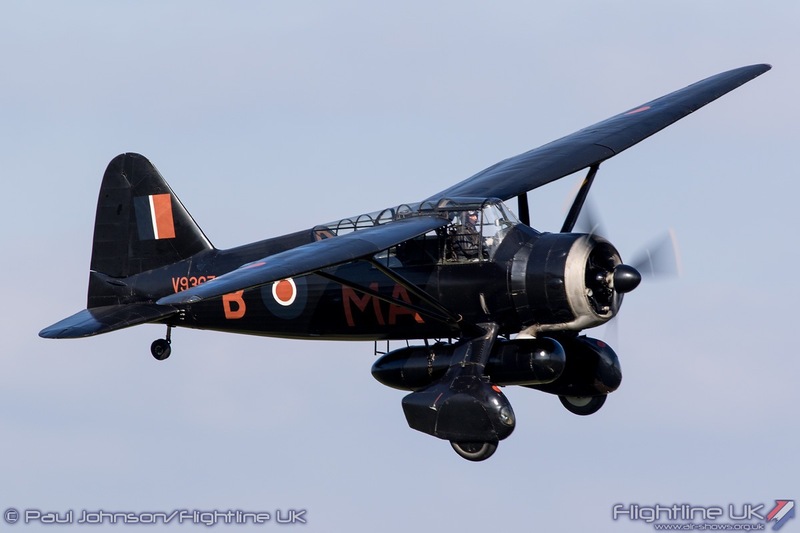 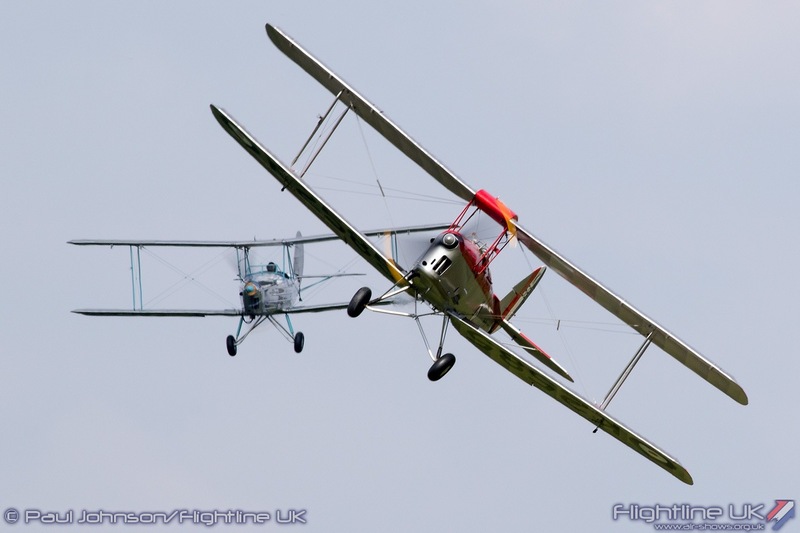 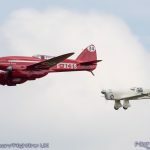 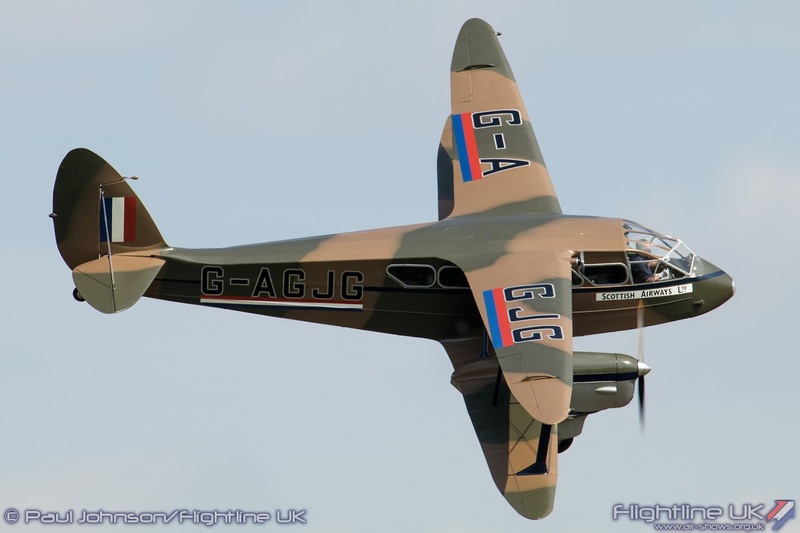 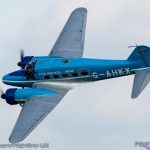 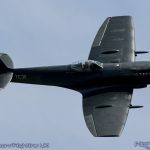 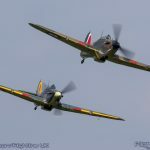 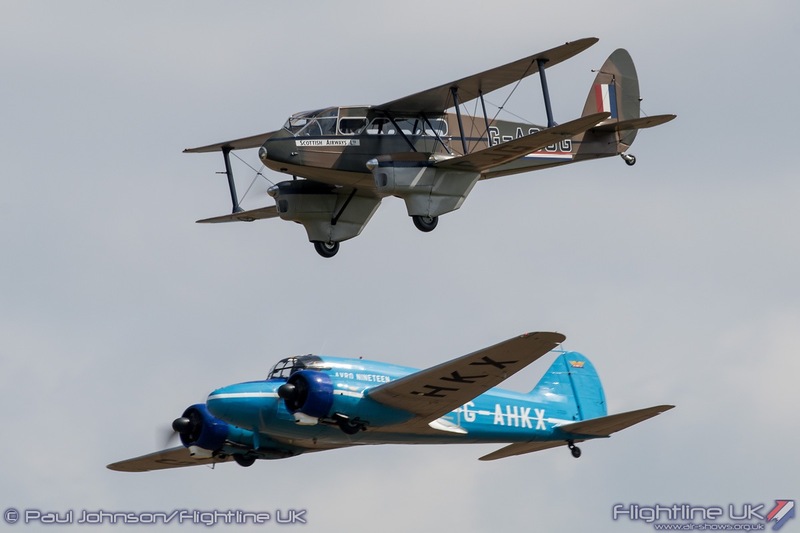 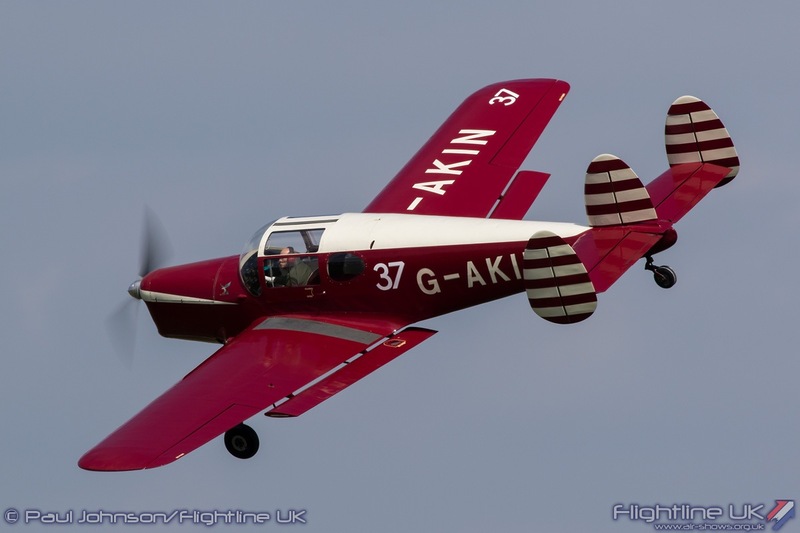 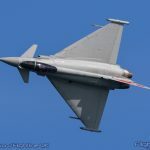 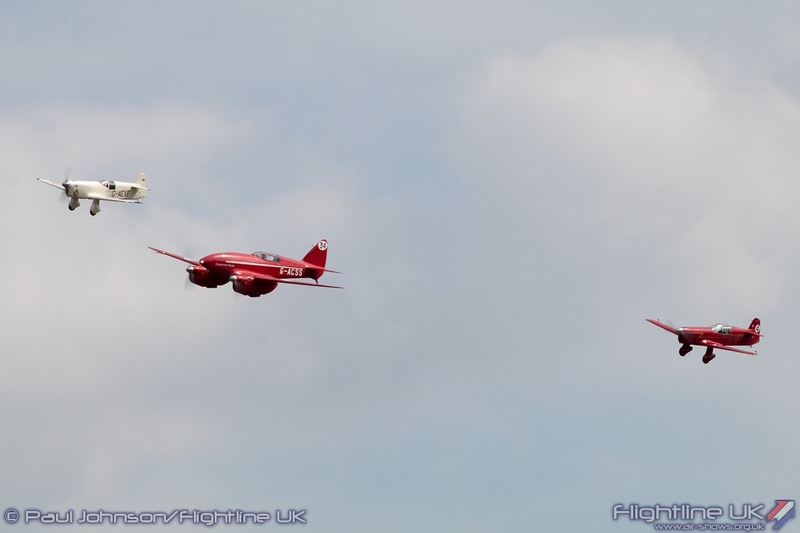 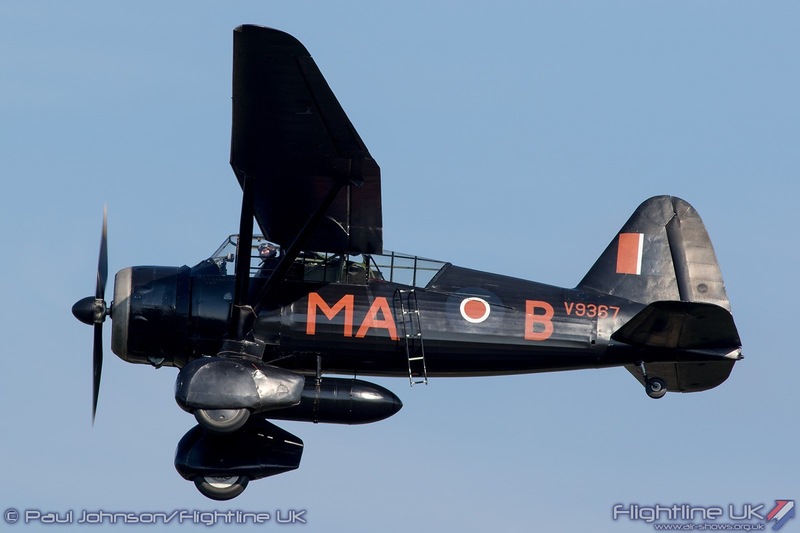 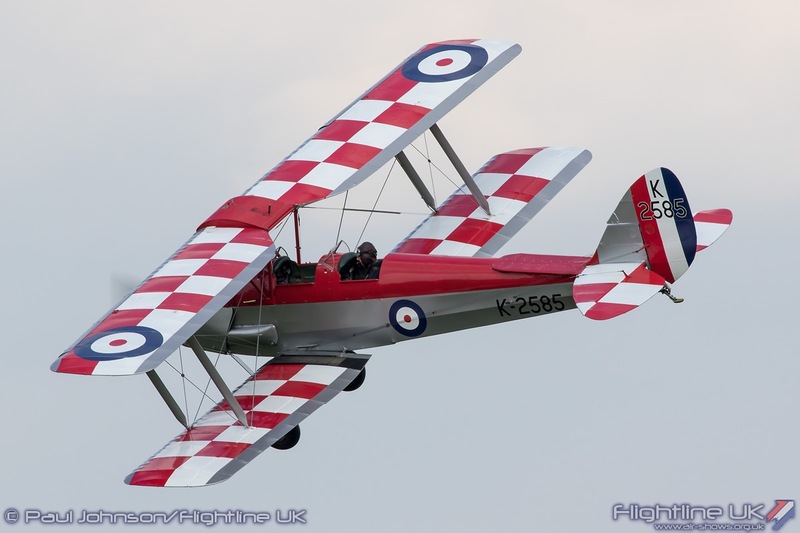 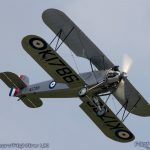 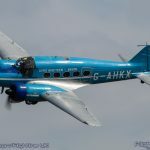 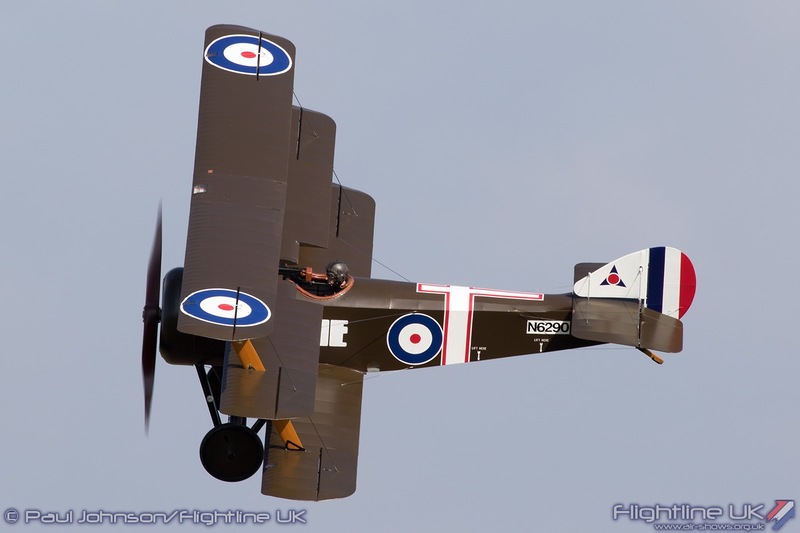 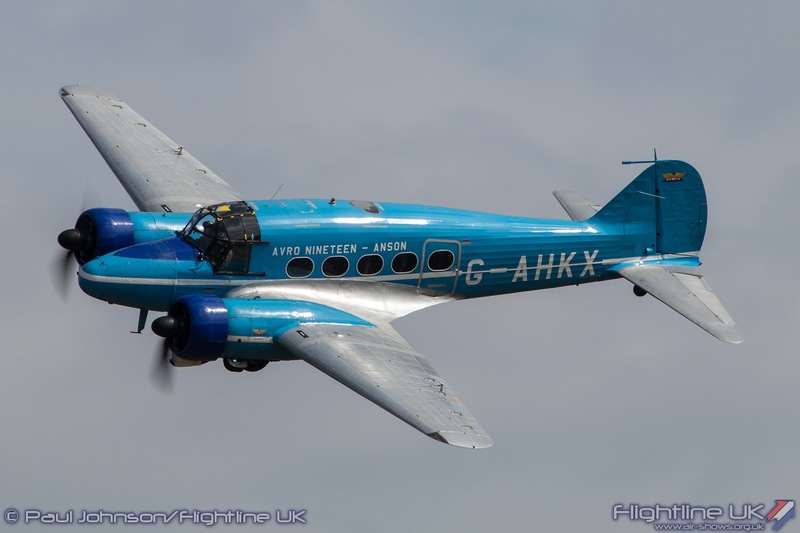 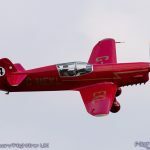 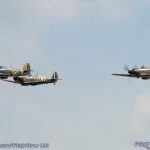 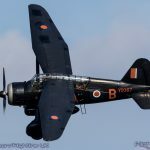 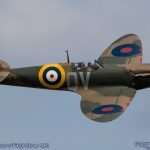 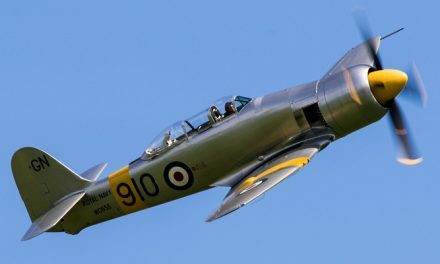 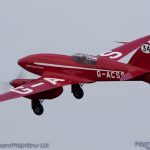 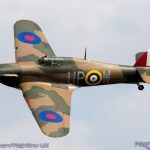 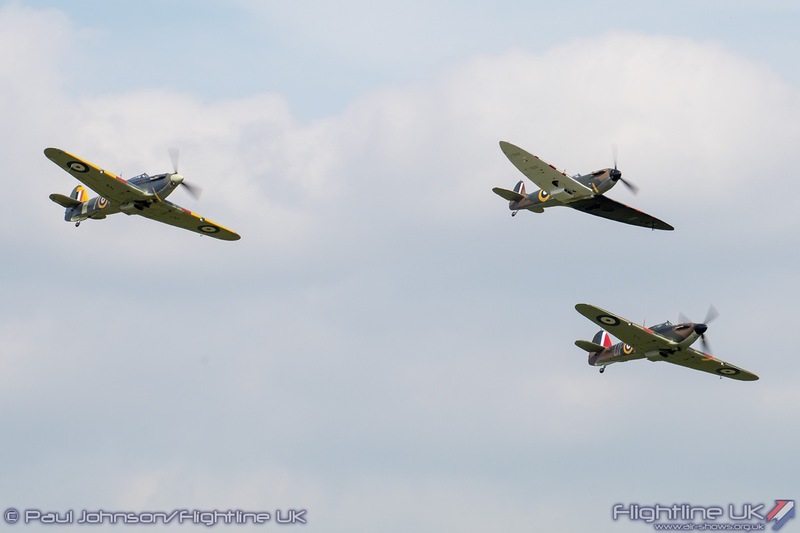 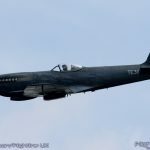 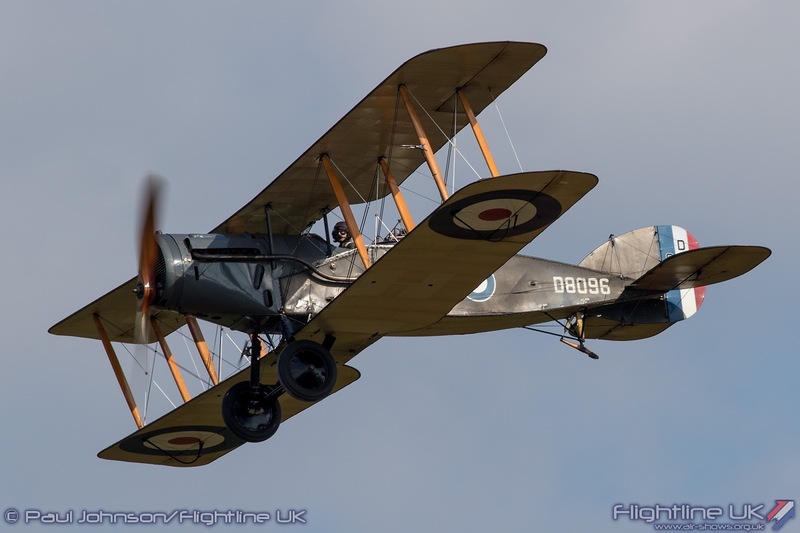 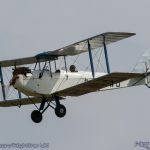 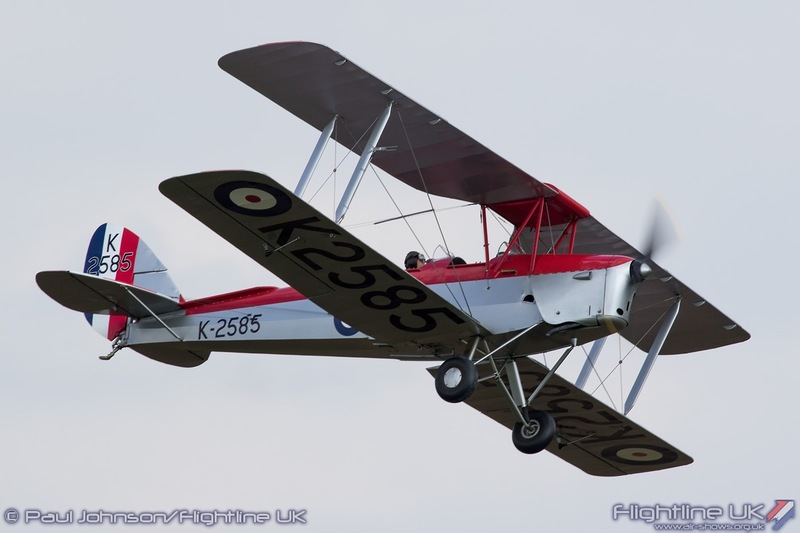 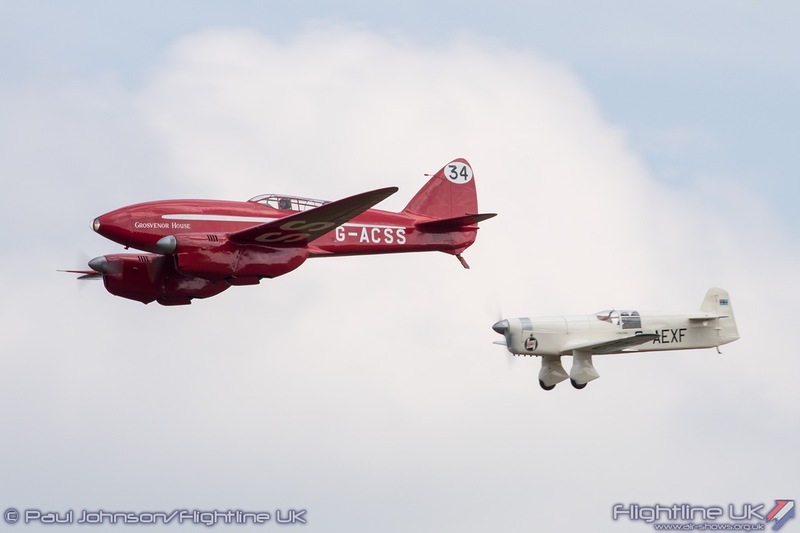 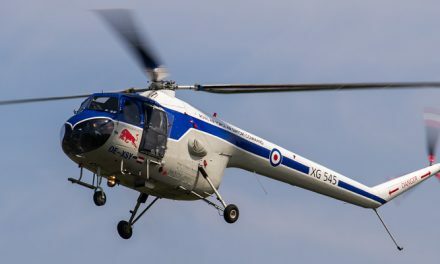 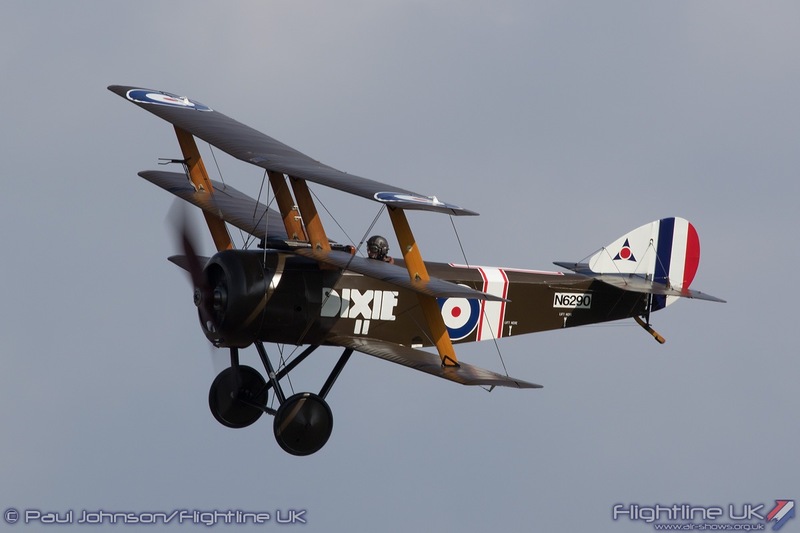 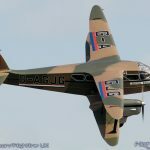 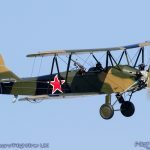 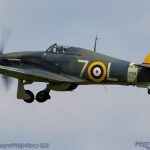 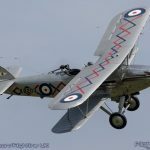 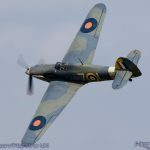 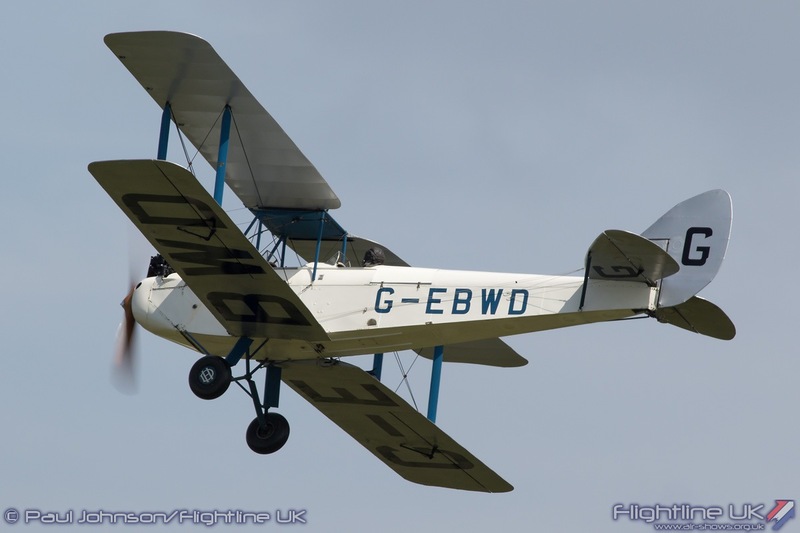 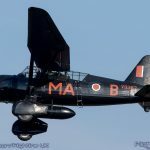 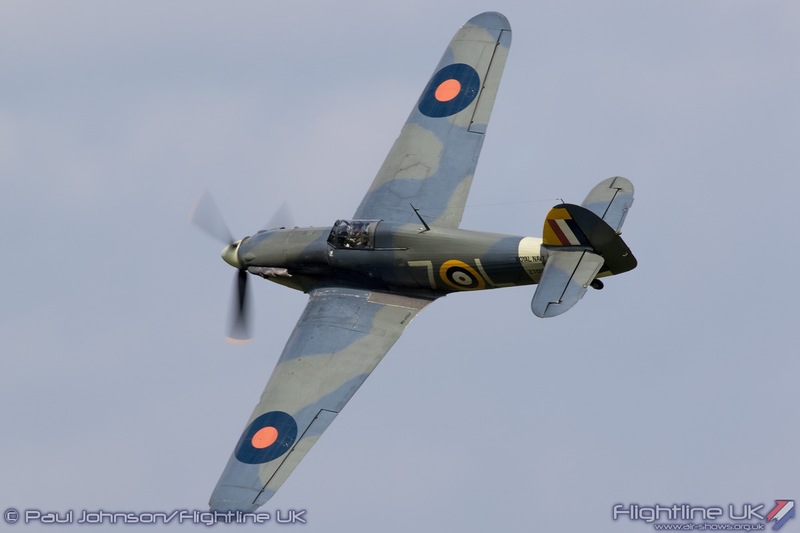 The Shuttleworth Collection at Old Warden once again took the honour of opening the UK Air Display Season with its Season Premiere. 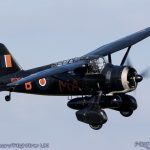 Despite some rather claggy conditions during the early morning, the cloud broke up leaving a blues skies and fluffy white clouds as the backdrop for the flying. 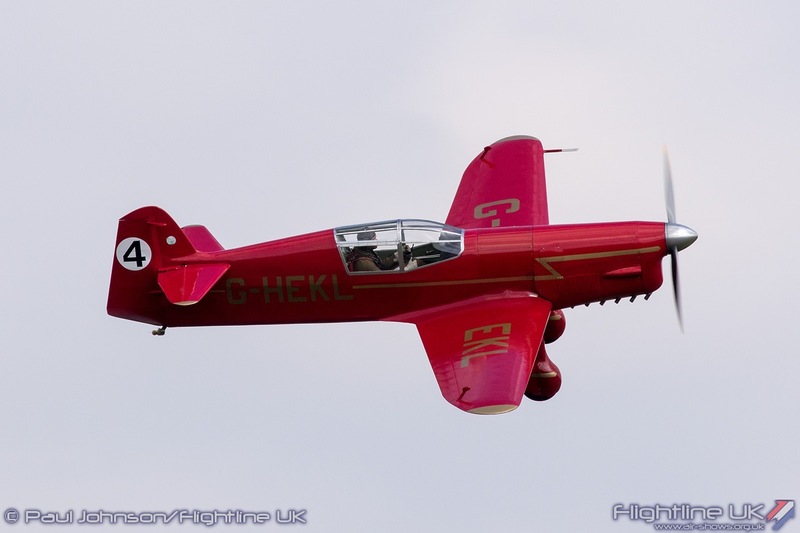 The show celebrated the exploits of the record-breaking and legendary test pilot, Alex Henshaw. 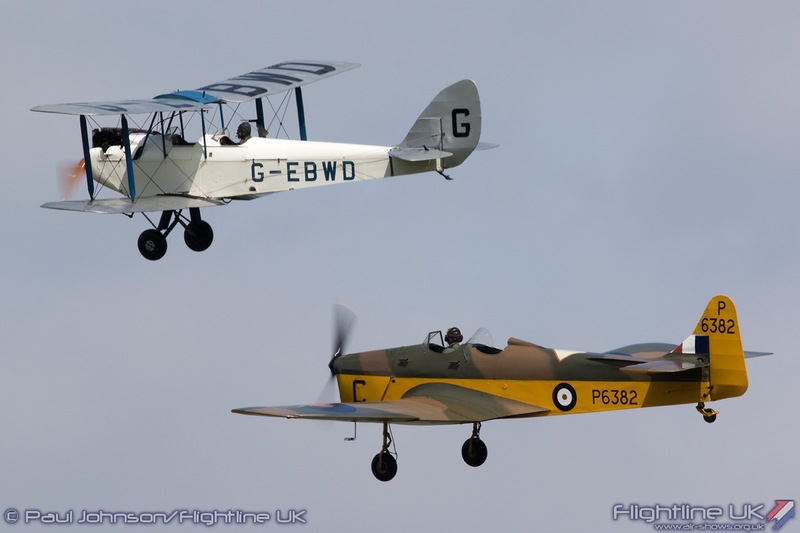 The ‘magic’ of Old Warden truly is something very special on the UK air display circuit. 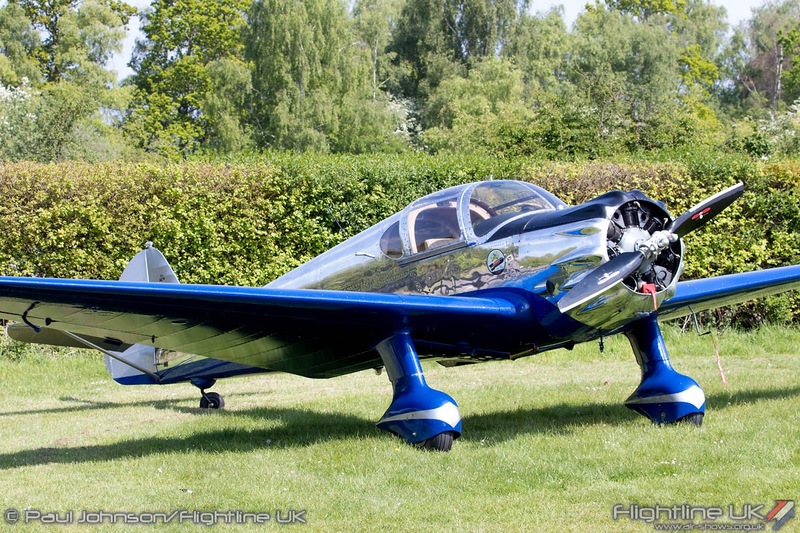 The beautiful rural backdrop of the aerodrome, the heady smell of oil and cut grass and the chatter of early engines always provide a wonderful form of escapism for a Sunday afternoon. 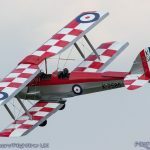 There is no finer place for the airshow season to get underway. 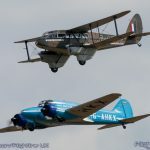 The last couple of years have seen events at Old Warden greatly enhanced with new attractions such as the opening of the House which is connected to the aerodrome by a fleet of vintage buses. 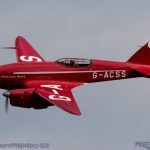 The showground is busier place too with more attractions and new for this year some Shuttleworth branded food outlets to compliment the Museum’s restaurant. 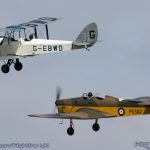 This attention to the visitor experience together with a revitalised effort to promote the collection on social media and some excellent flying display line-up have seen large crowds at Old Warden. 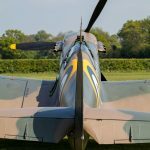 The car parking layout may have changed, but it now regular exceeds the capacity within the aerodrome with the parkland providing an overflow. 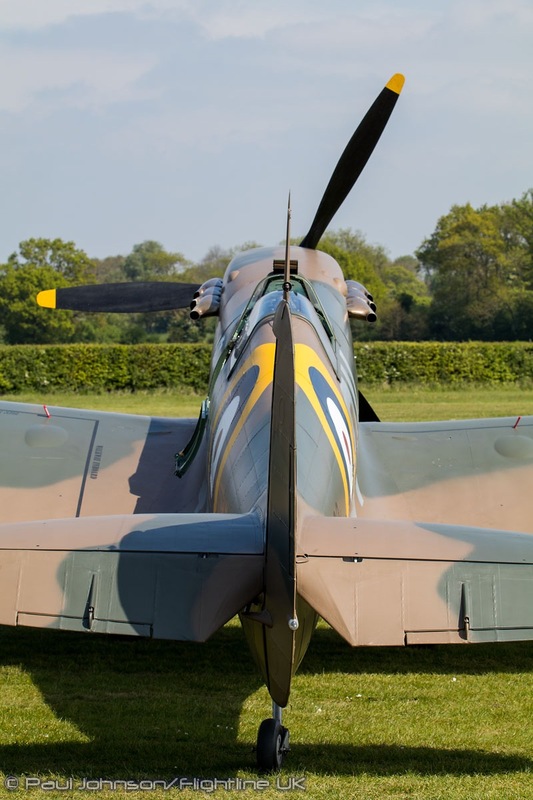 Despite this, it never seems to dent the wonderful atmosphere nor create much hassle getting in or out of the event. 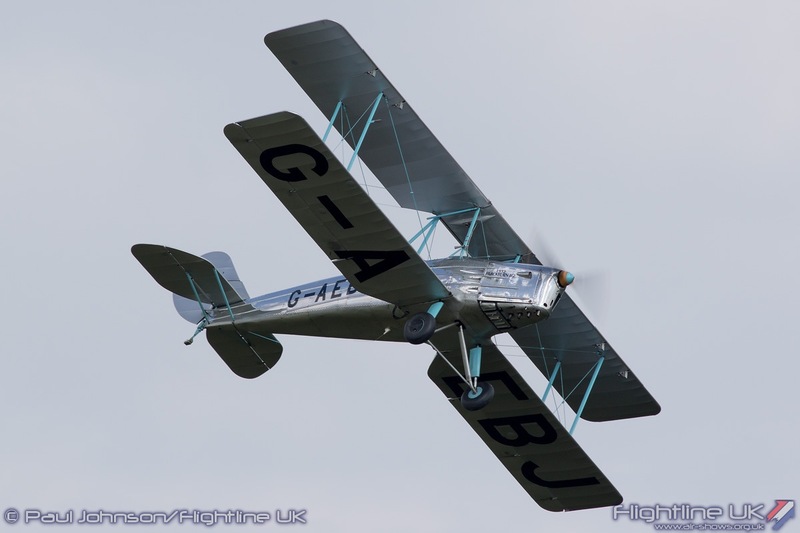 Old Warden events are a popular destination for pilots to fly-in to, often with their own vintage aircraft. 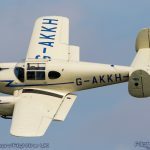 One particularly eye-catching visitor was Ryan SCW-145 VH-SCW. 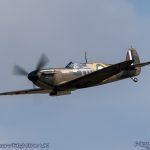 Though on the Australian register, this aircraft has been in the UK for a few months and looked stunning parked up in the upper paddock area. 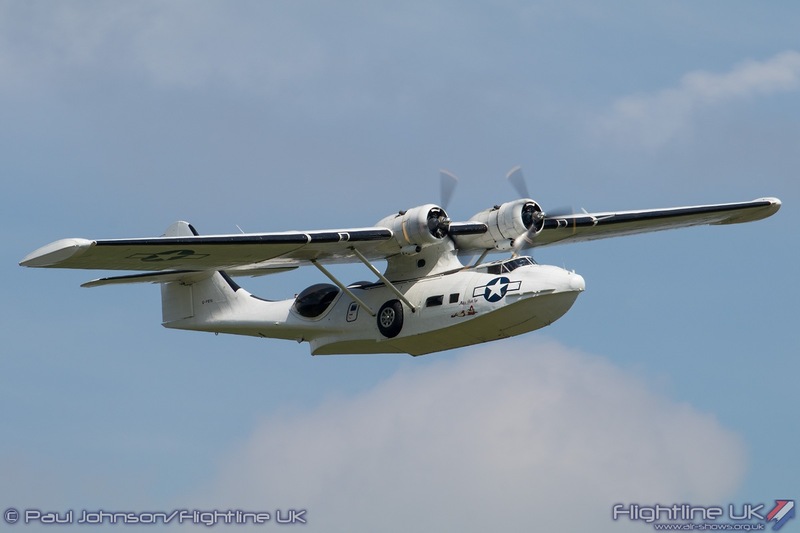 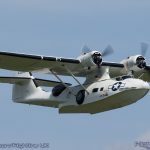 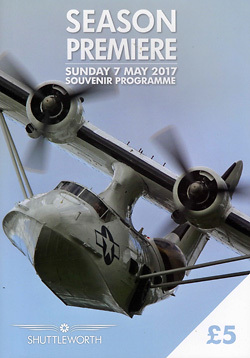 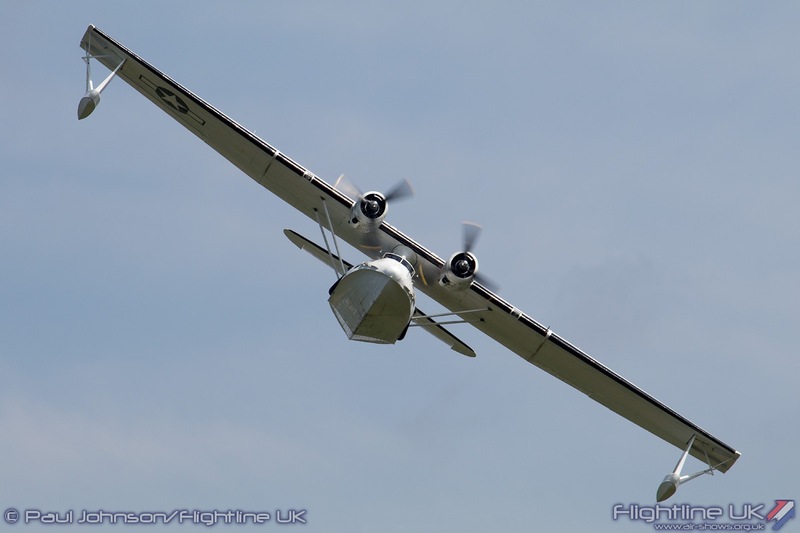 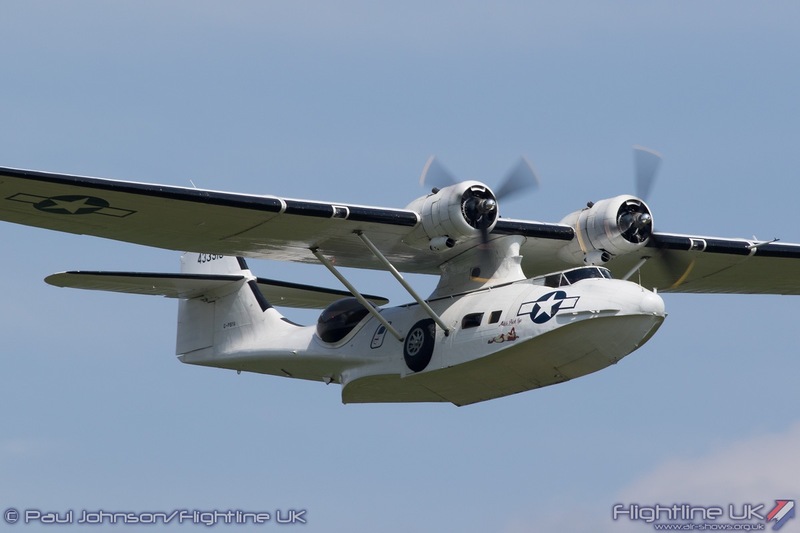 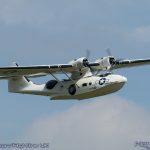 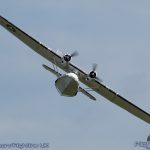 The honour of opening the flying display went to the first of the visiting aircraft from Duxford, Plane Sailing’s Consolidated PBY-5A Catalina. 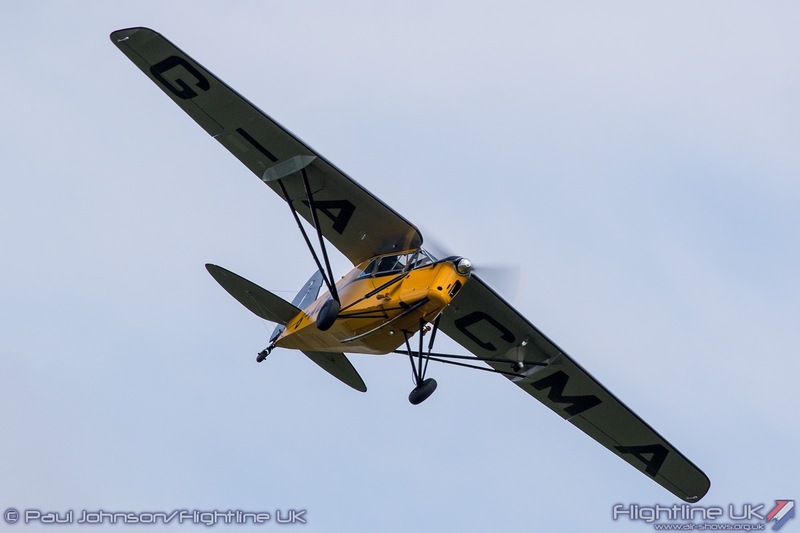 Captain by Matt Dearden, the Catalina put on a very sporting performance with some dramatic steep turns over the Bedfordshire countryside. 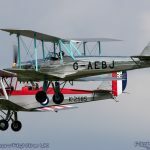 As always, Old Warden brought together some old favourites from the collection and other based aircraft throughout the afternoon. 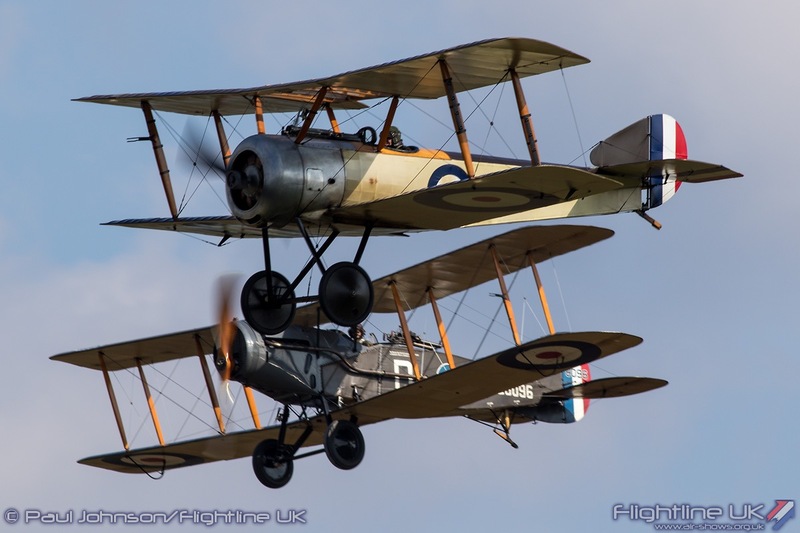 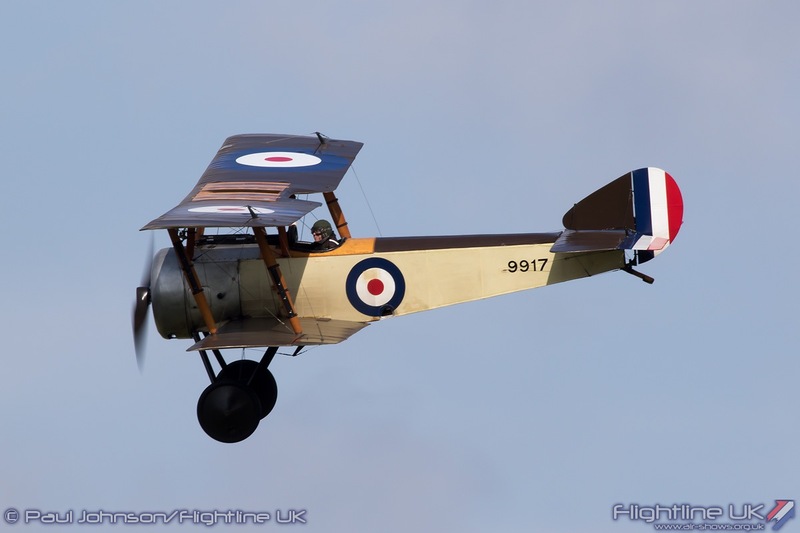 The latter part of the flying programme saw a trio of the collection’s First World War aircraft take to the skies despite the stiff northerly breeze. 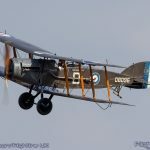 Alongside the faithful Bristol F2b Fighter and Sopwith Pup which so often feature in Old Warden flying programme, it was lovely to see the collection’s Sopwith Triplane ‘Dixie’ return to the skies following its landing accident a couple of years ago. 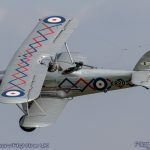 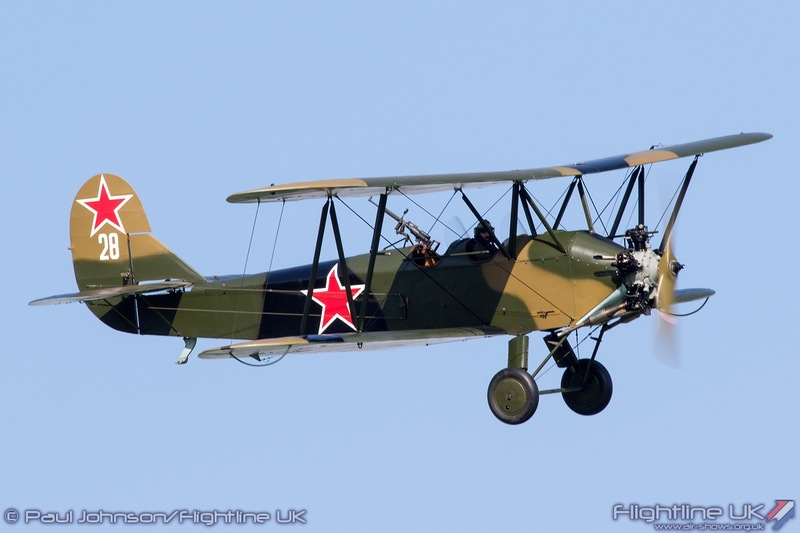 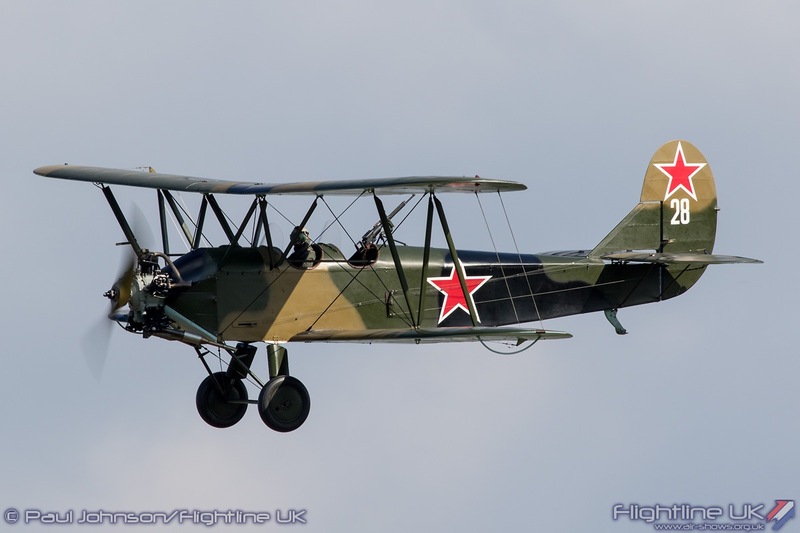 The military theme was continued by appearances by the Old Warden based Hawker Demon flown by Stu Goldspink, the characterful Polikarpov Po-2 and the Westland Lysander that closed the flying. 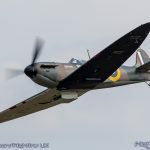 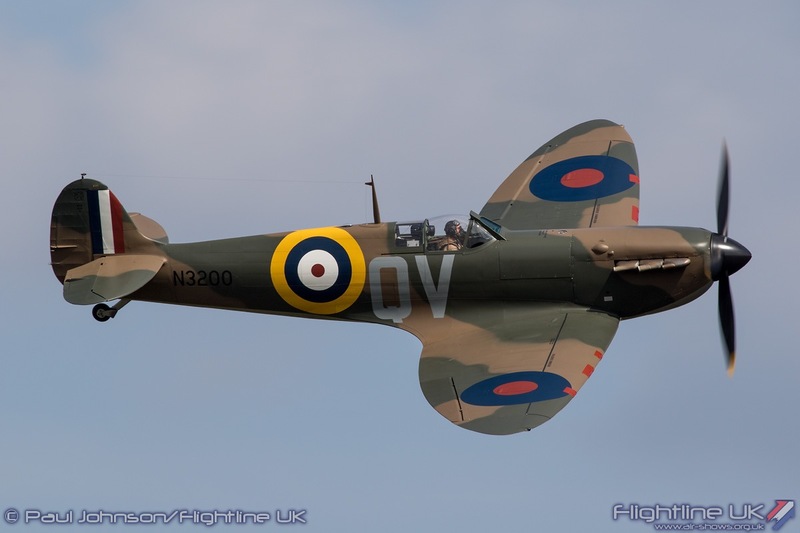 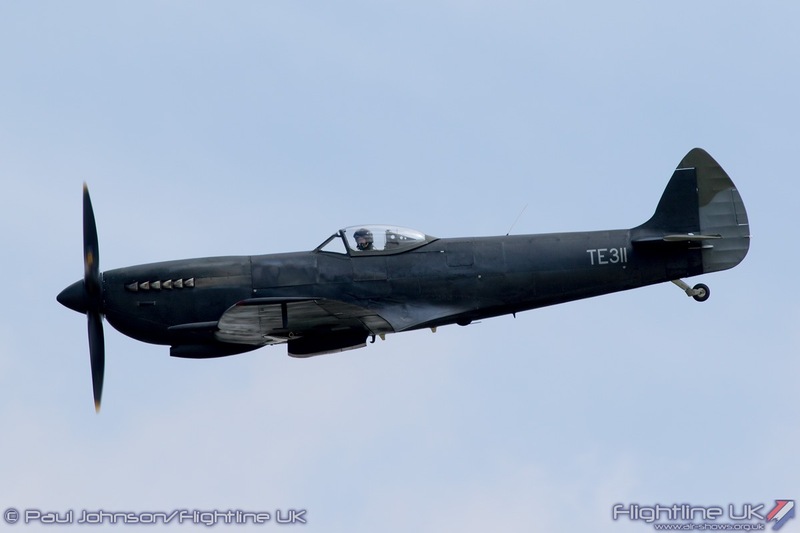 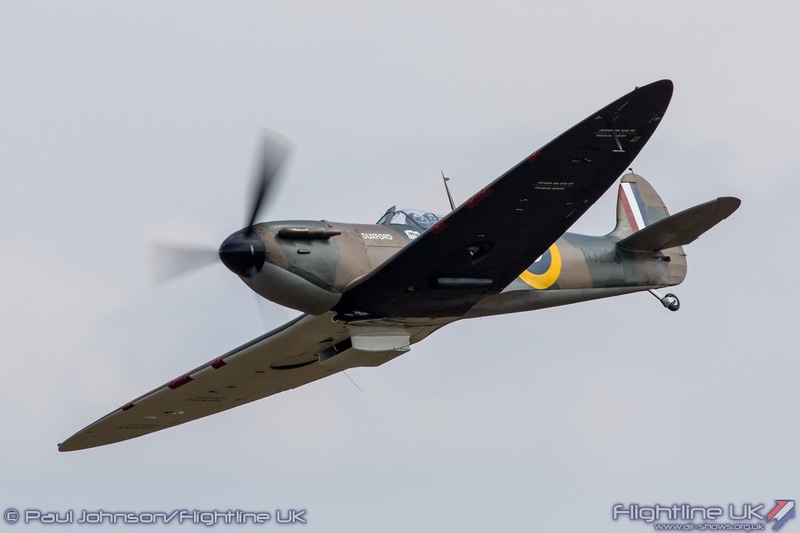 The Battle of Britain Memorial Flight also managed to fit in an appearance with Flt Lt Antony Parkinson performing three flypasts in Supermarine Spitfire XVI TE331. 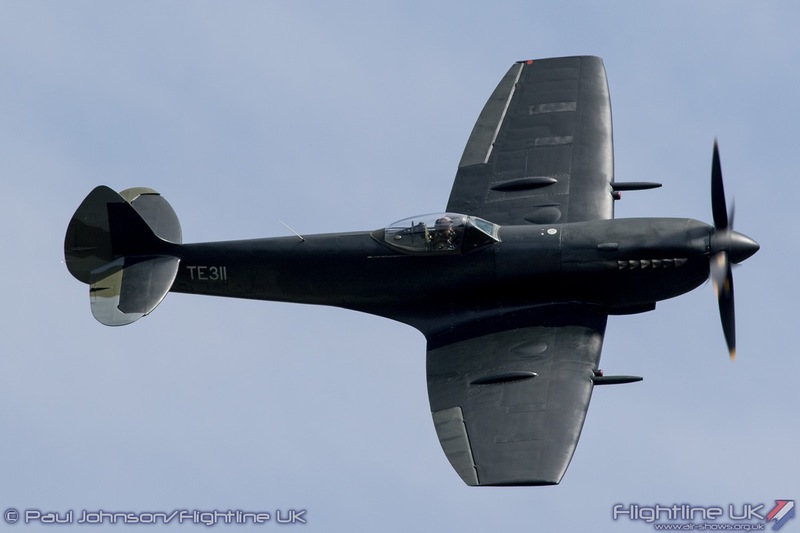 It was a notable appearance as TE331 is mid-way through a repaint and appearance at Old Warden wearing black primer and no markings apart from her serial. 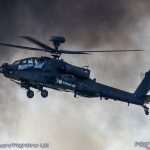 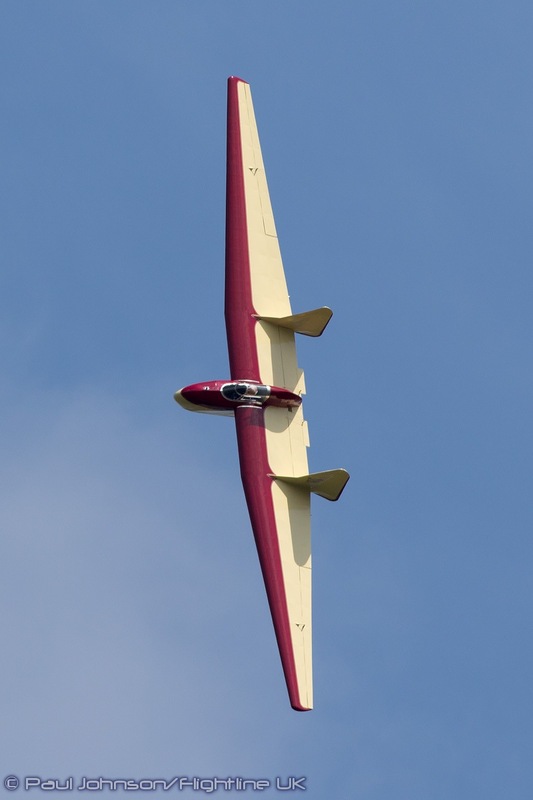 The flying displays featured than just traditional powered fixed wing aircraft. 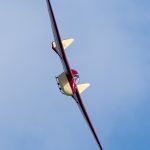 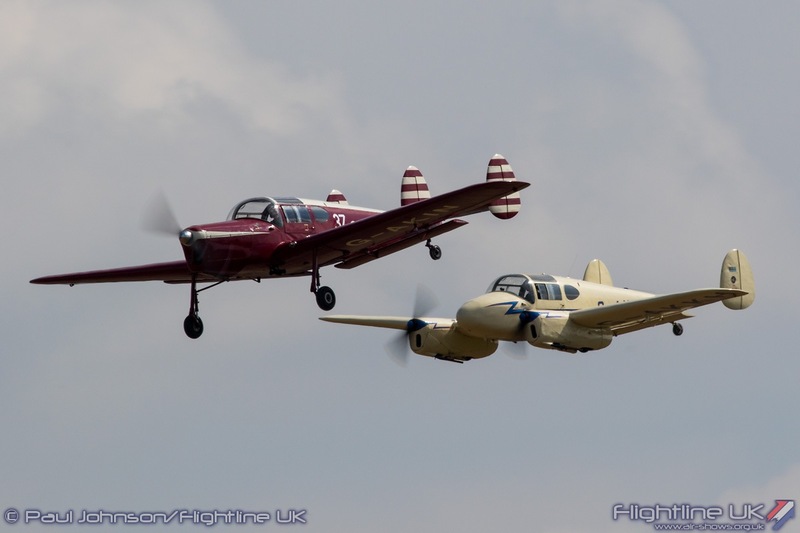 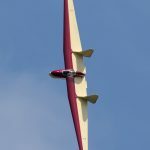 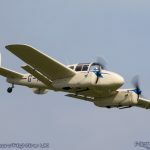 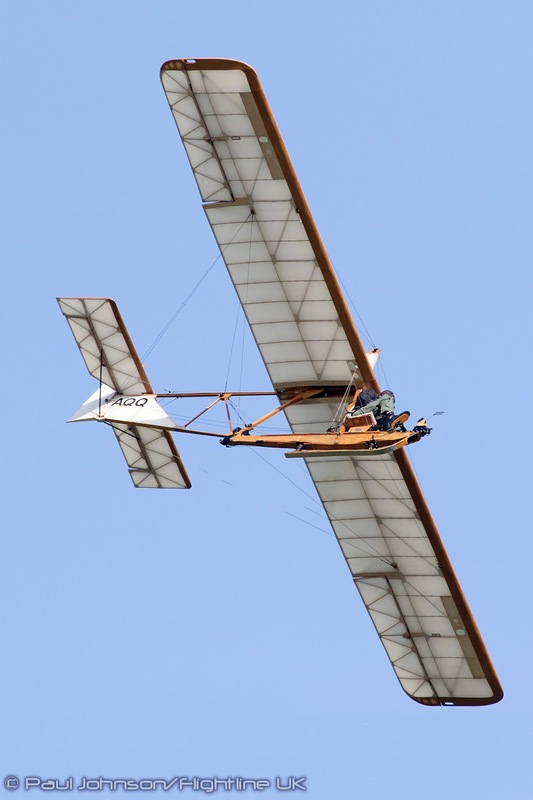 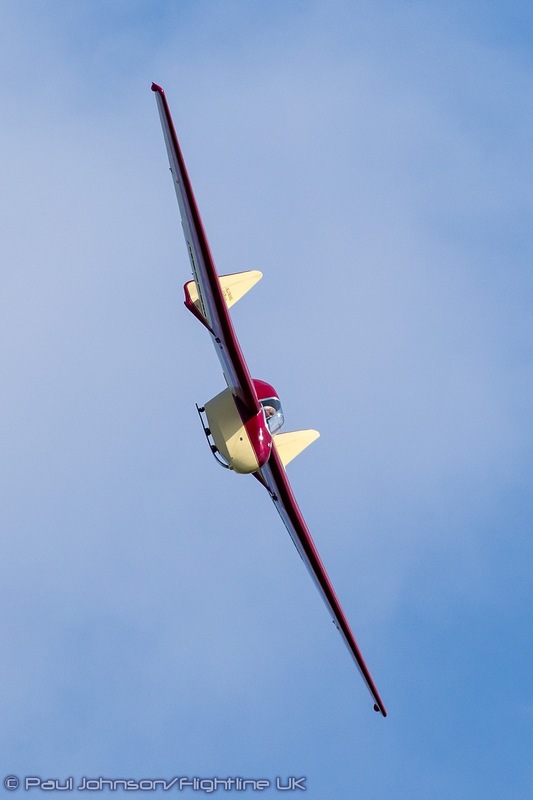 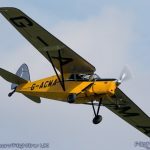 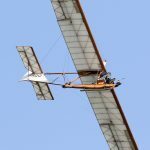 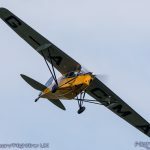 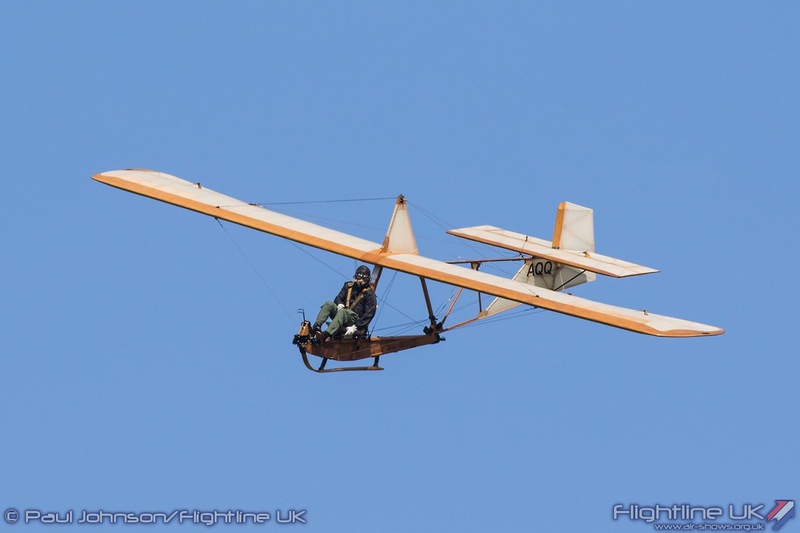 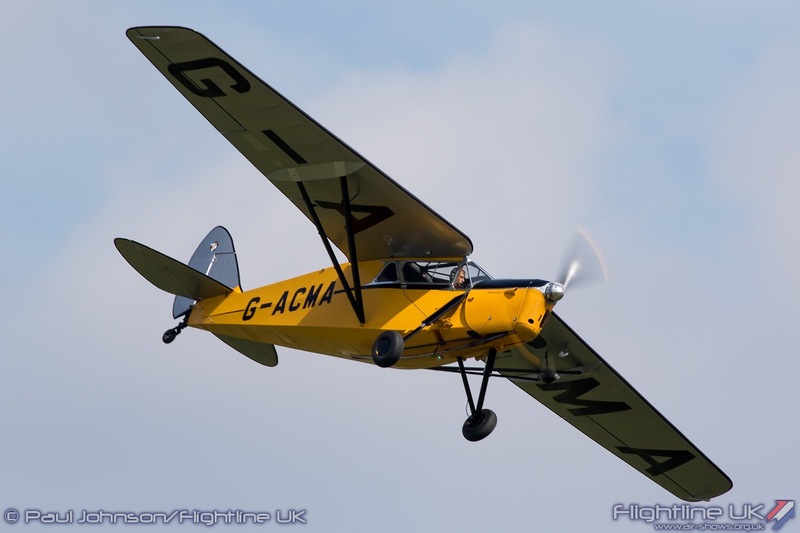 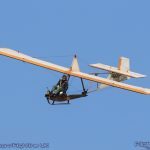 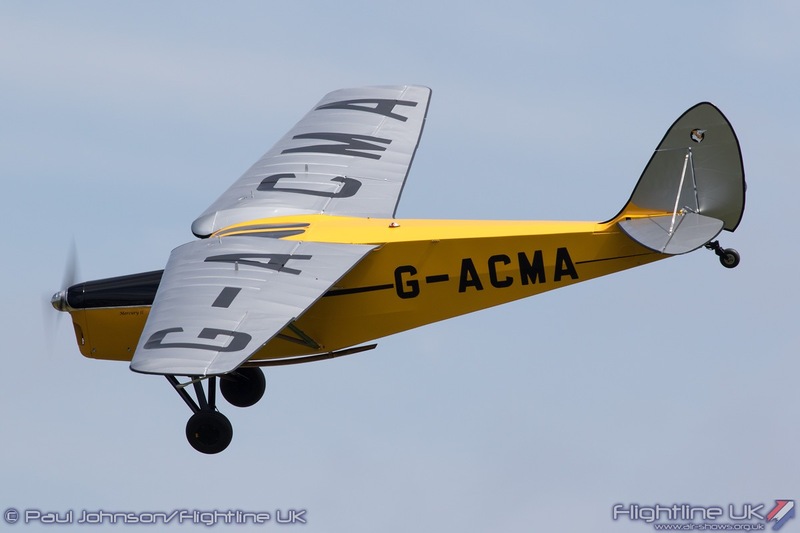 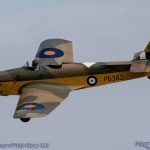 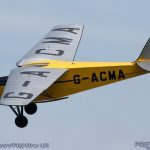 Vintage gliders have become regular fixtures at Old Warden event and the Season Premiere featured the EON Primary and the Fauvel AV36 flying wing. 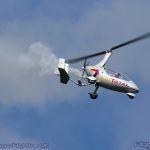 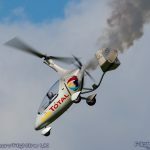 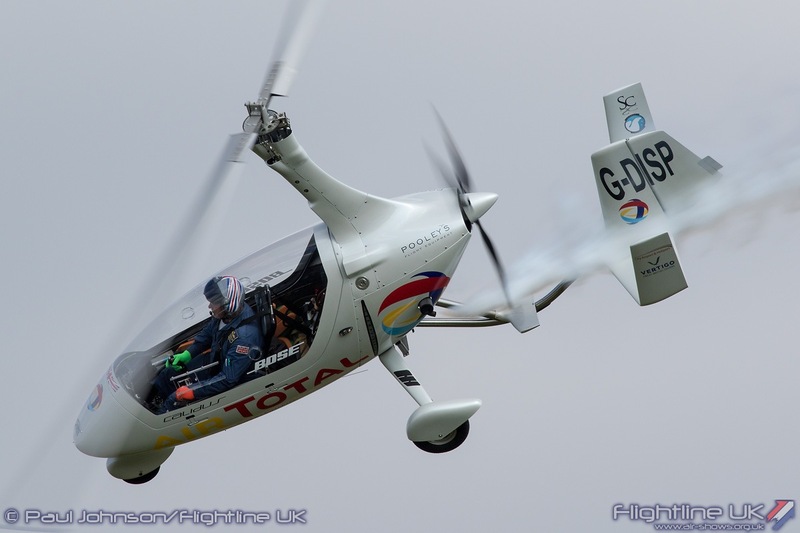 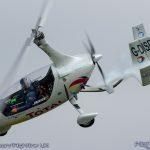 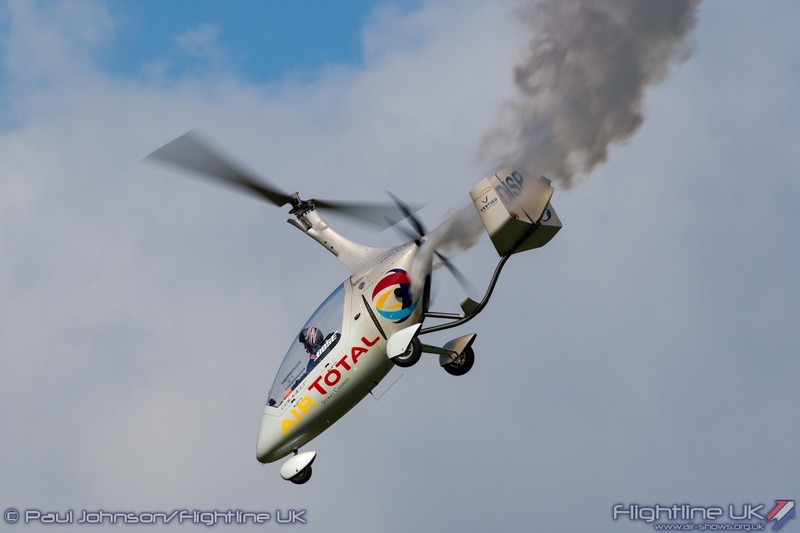 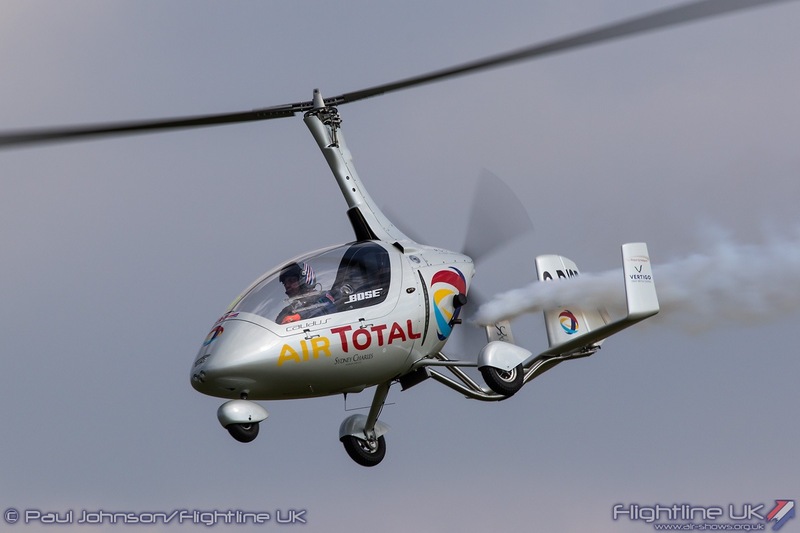 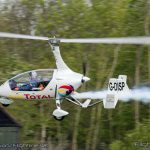 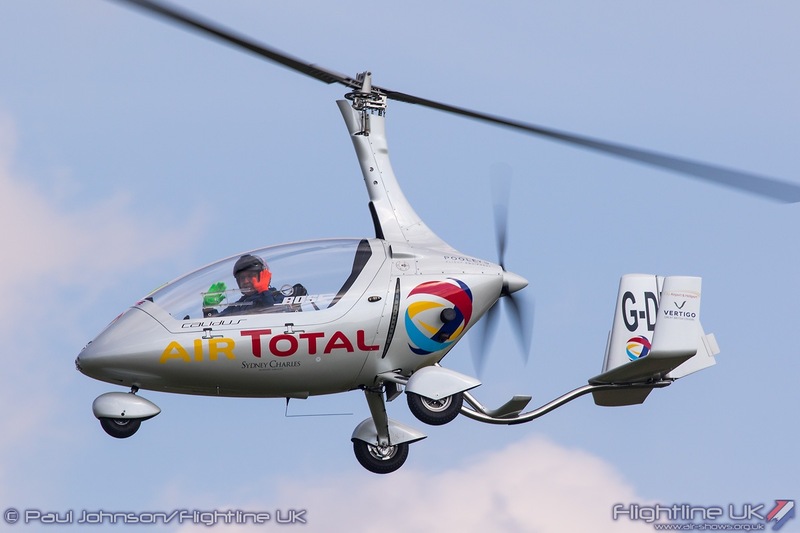 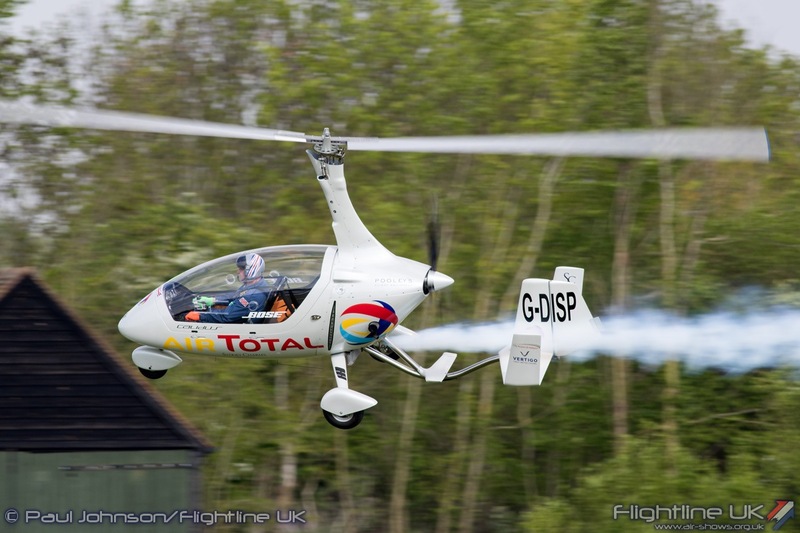 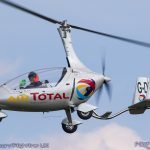 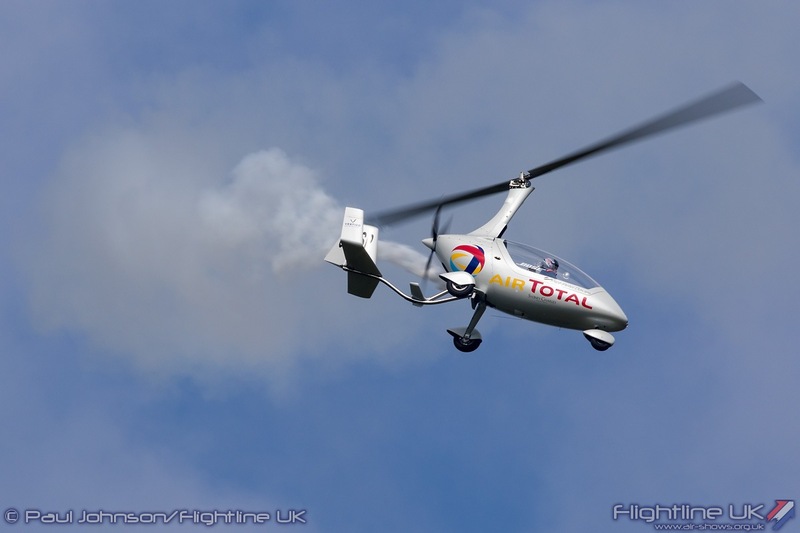 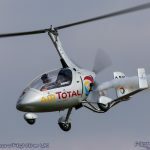 Rotary action came from another of the visiting aircraft with an eye-catching energetic performance by Gyro Air Displays’ Peter Davies in his Rotorsport Calidus autogyro. 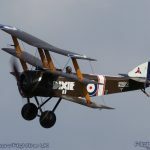 The bulk of the flying display was a tribute to record breaking test pilot Alex Henshaw showcasing many aircraft he was associated from the Collection and visiting aircraft. 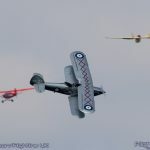 As always with Shuttleworth displays many of the aircraft displayed in groups These combinations includes the de Havilland DH60X Moth with the Miles Magister, the de Havilland DH82a Tiger Moth paired with the BAE Systems Heritage Flight’s Blackburn B2 and Mark Miller’s de Havilland DH89a Dragon Rapide joining up with BAE Systems’ Avro C19 Anson. 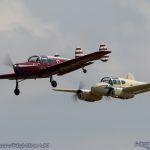 There was also a fabulous combination of Miles Messenger and Gemini reminiscent of the famous Miles Duo that was on the display circuit through the 1980’s and 1990’s. 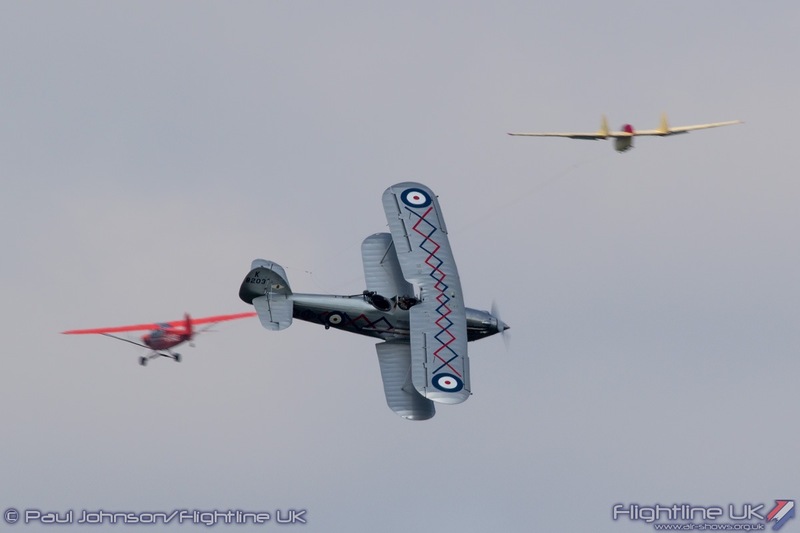 Amongst these combinations were three really stand-out displays. 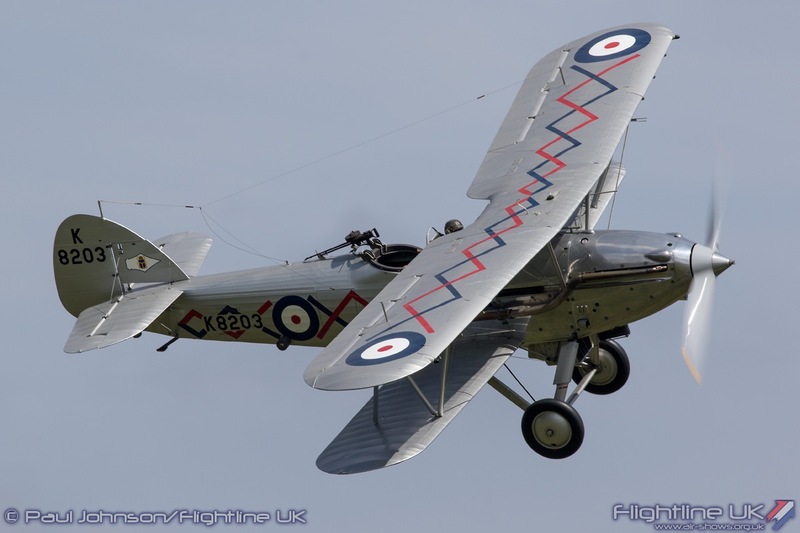 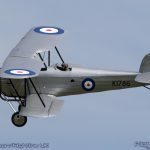 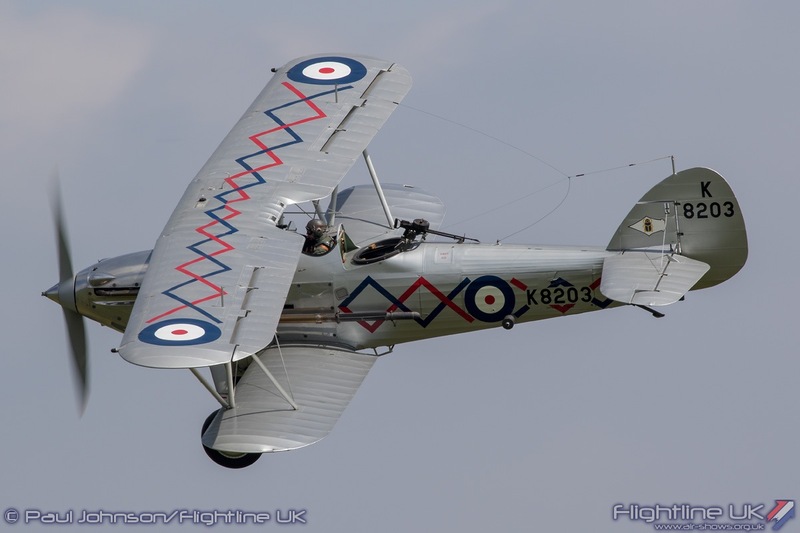 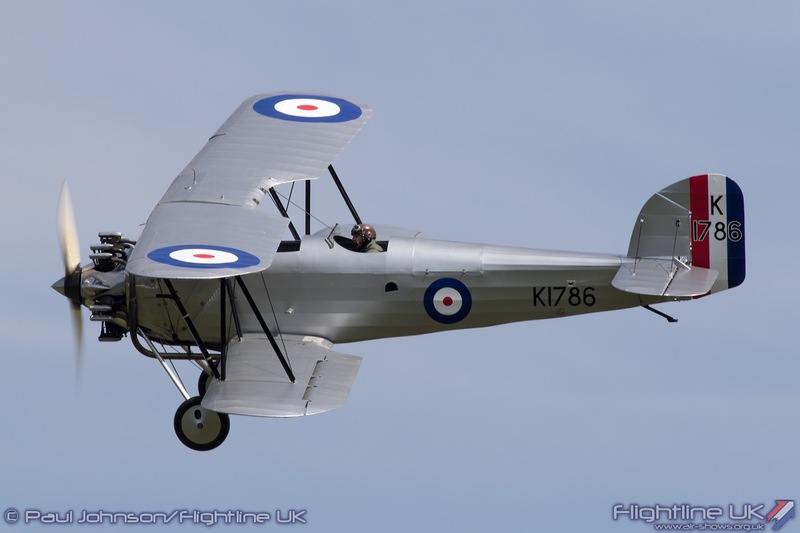 The first saw the lovely Hawker Tomtit which Henshaw used as a hack aircraft flown with a visiting de Havilland DH85 Leopard Moth flown by collection pilot Keith Dennison. 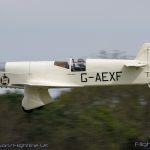 Keith put on a superb punchy display in the Leopard Moth named ‘Mercury’ showing off the aircraft elegant lines of the 1930’s tourer. 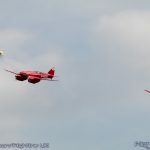 The trio of de Havilland DH88 Comet and two Percival Mew Gulls is not new to the Collection but is always a highlight of any Old Warden display. 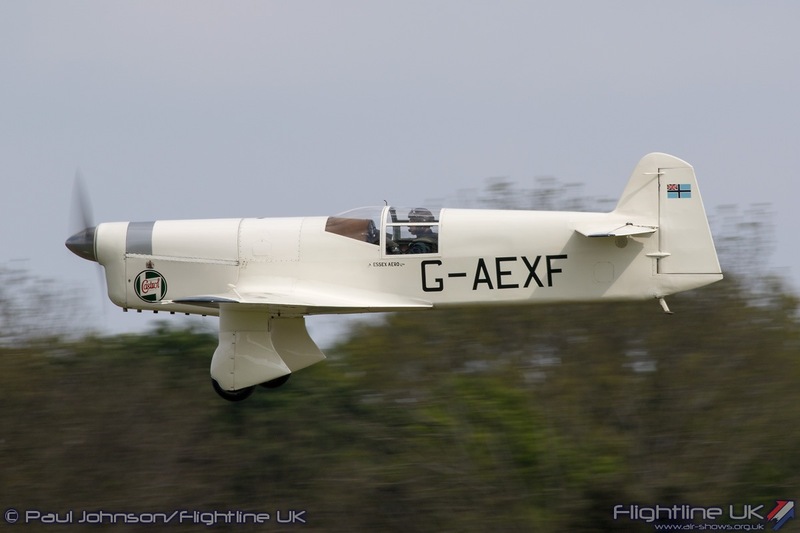 Recalling Alex’s exploits in air racing and setting the Cape record, this combination always provides a thrilling sequence of elegant fast passes and noise. 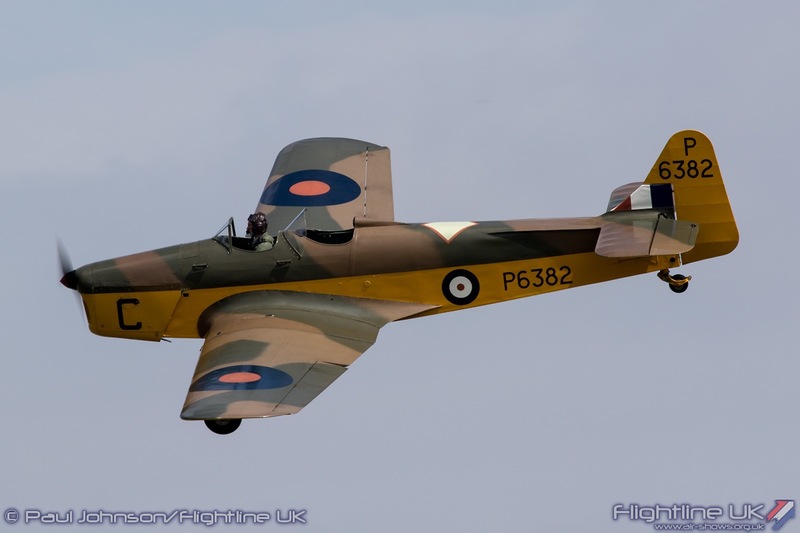 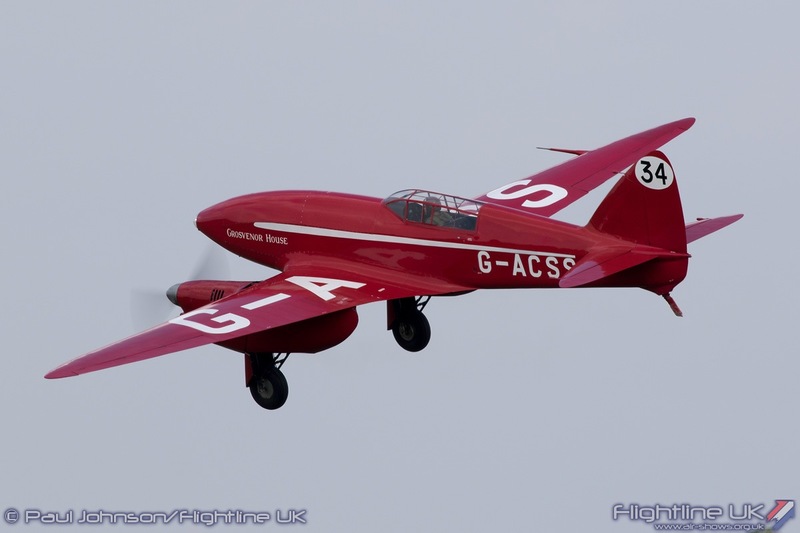 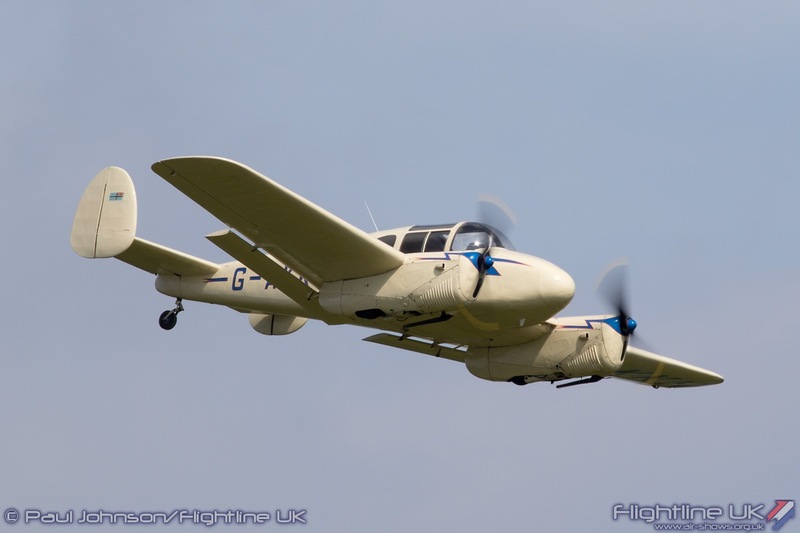 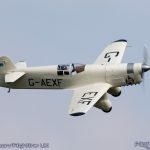 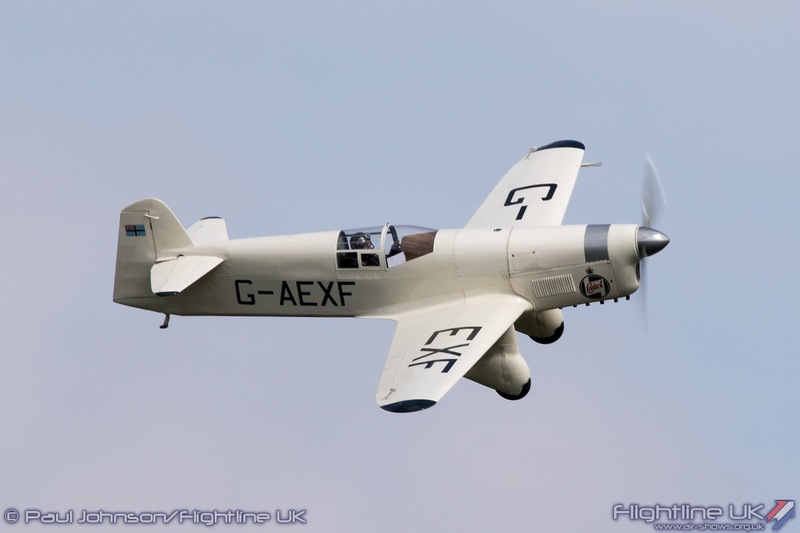 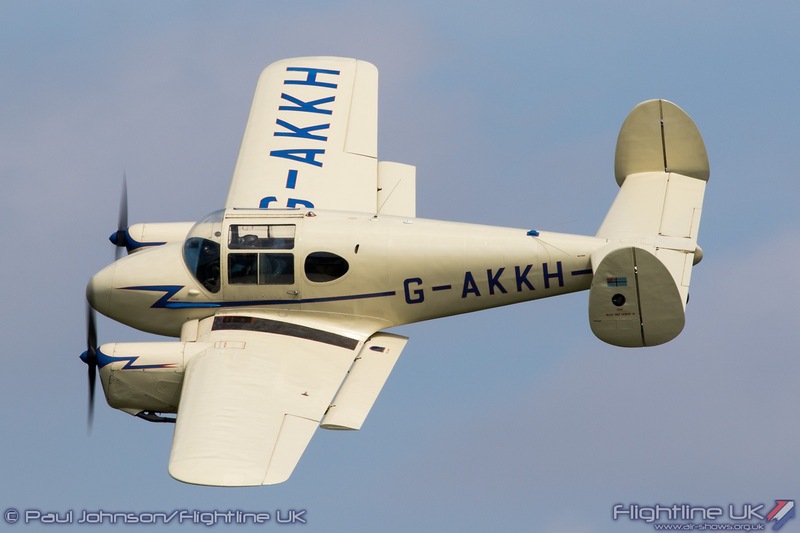 Alex’s own famous Percival Mew Gull G-AEXF which is part of Shuttleworth’s fleet was joined by David Beale’s wonderful replica G-HEKL which flew in formation before splitting into short solo displays. 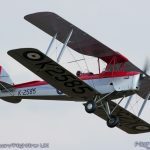 But perhaps the highlight of the afternoon was the section of flying that looked towards Alex Henshaw wartime test flying career. 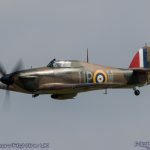 The gathering of the Shuttleworth Collection’s Hawker Sea Hurricane Ib flown by Frank Chapman, Hurricane Heritage Hawker Hurricane I piloted by Stu Goldspink and John Romain flying the Imperial War Museum’s Supermarine Spitfire Ia was noteworthy for not just for the Henshaw connection, but also as it brought together three early Rolls Royce Merlin III powered aircraft. 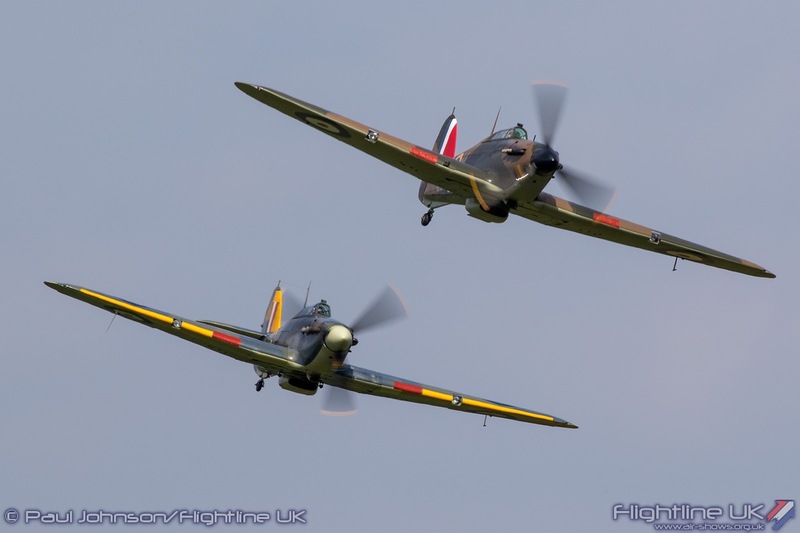 After an opening formation, the Spitfire split from the Hurricanes for some gentle solo aerobatics over the top of the Hurricane formation. 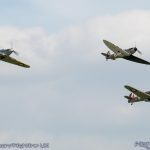 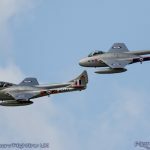 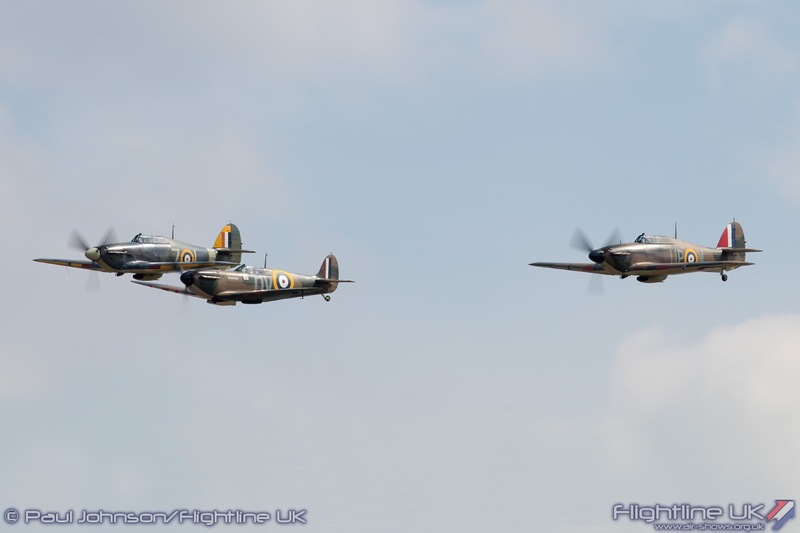 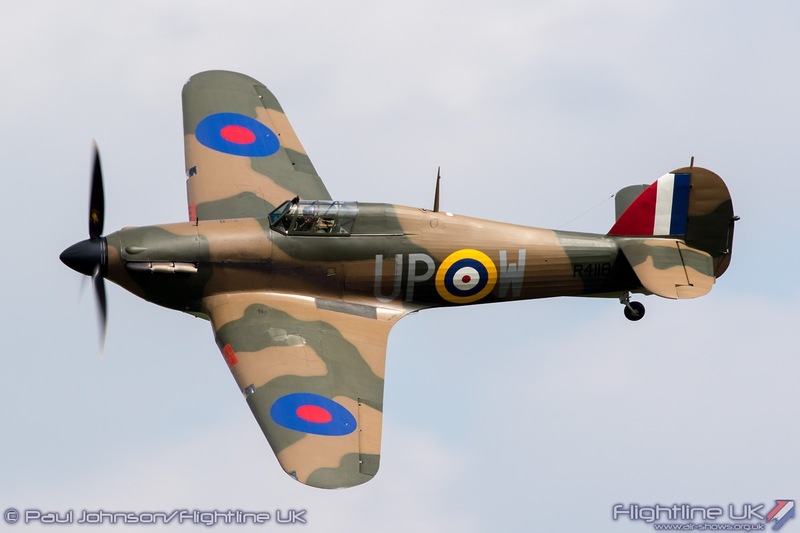 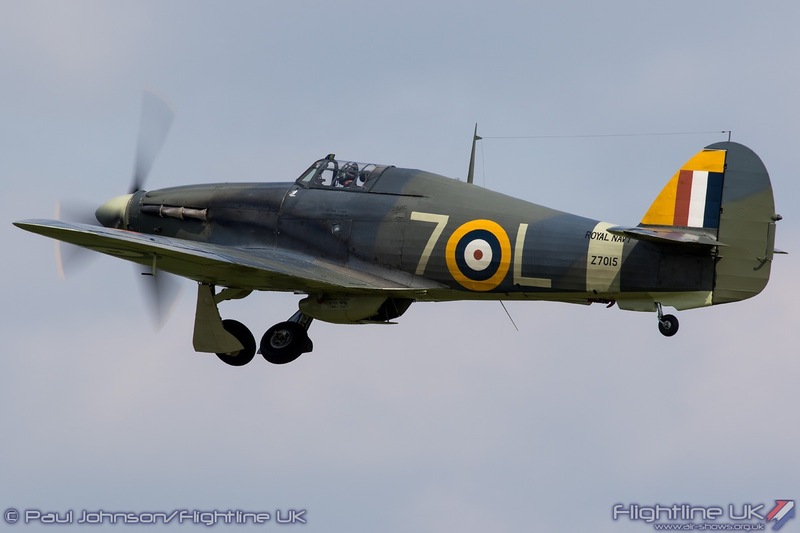 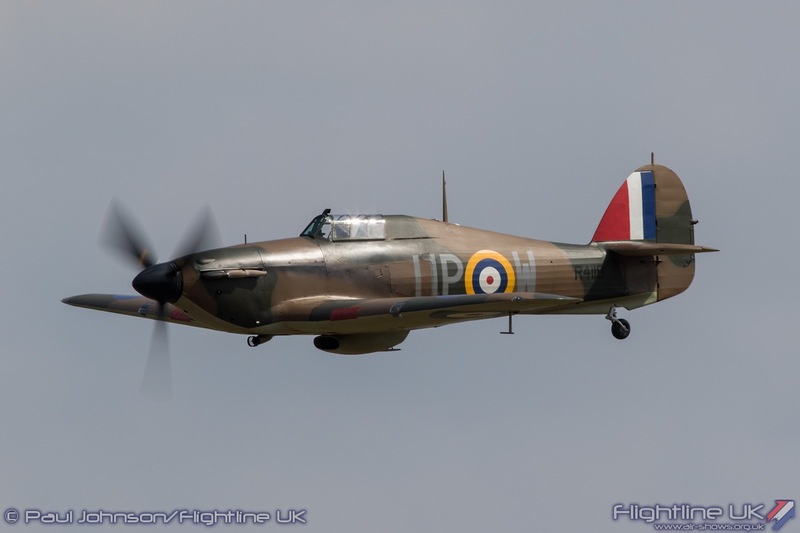 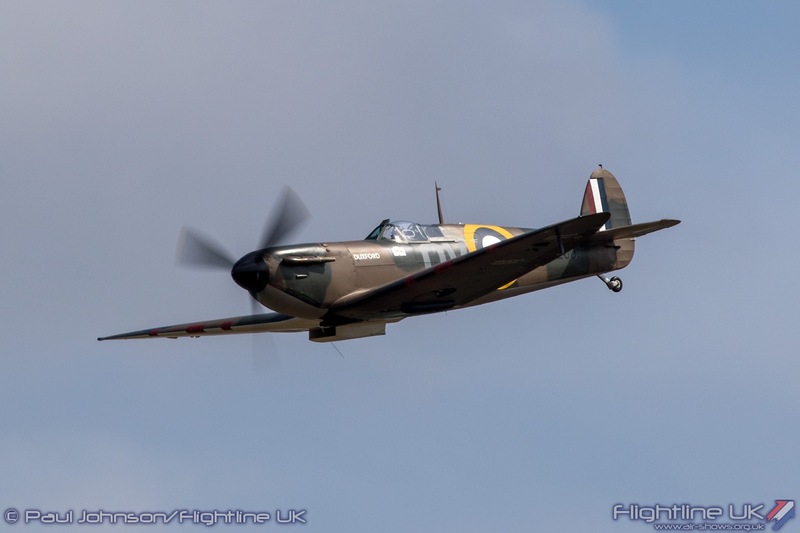 It was perhaps the most emotive few moment of the flying display watching three iconic aircraft flown so beautifully for the audience and certainly worthy of the ripple of applause as the Hurricanes returned to their roost. 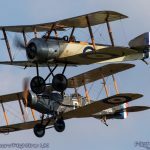 The Shuttleworth Collection really kicked off the 2017 on a real high with the Season Premiere setting the scene for a really interesting and exciting year.